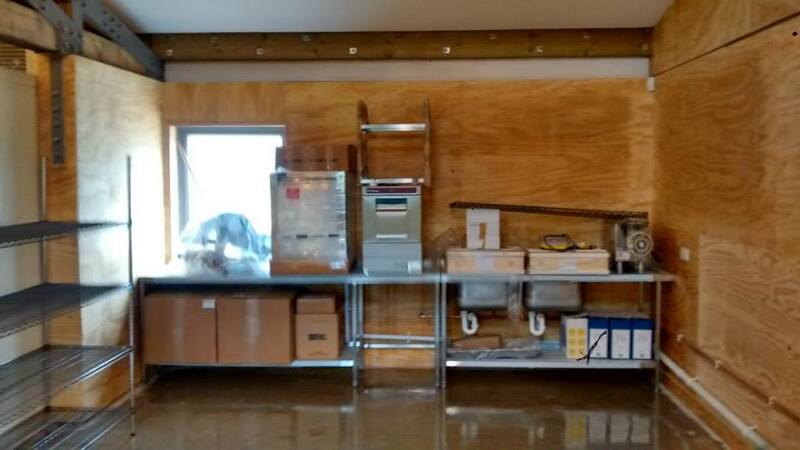 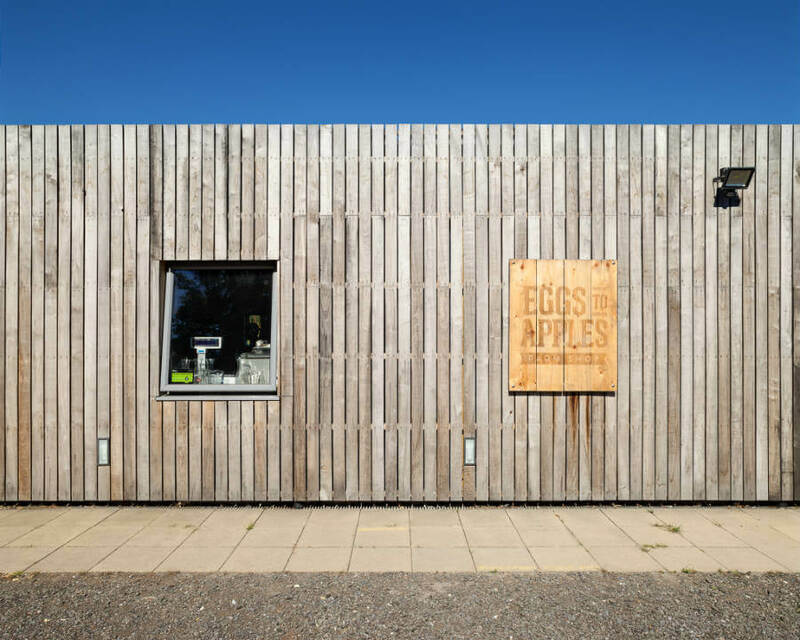 Eggs to Apples is run by Susannah and Craig Hewett and a great team of knowledgeable and food loving people. 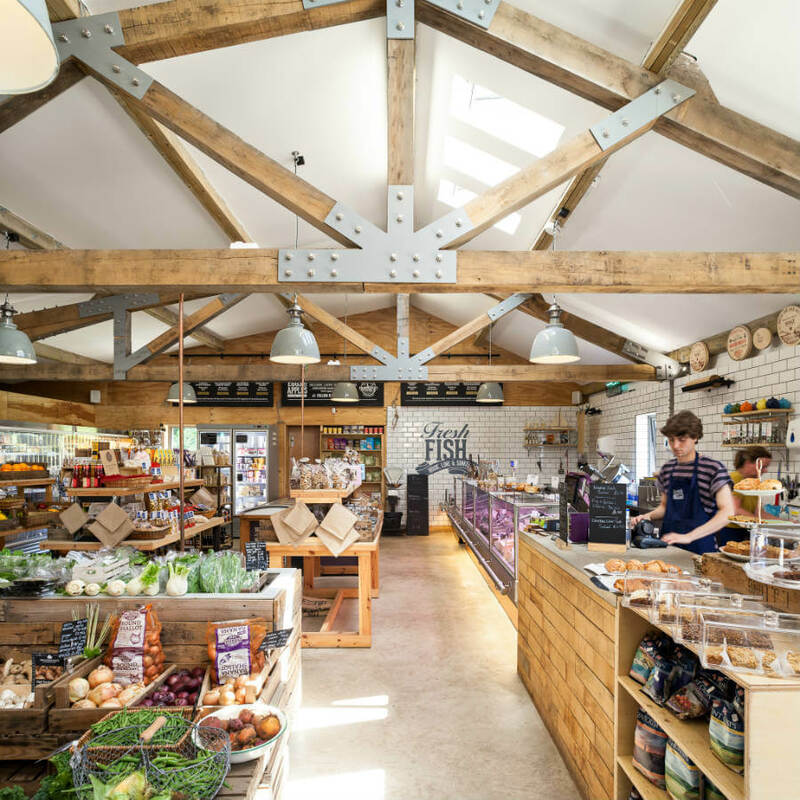 Susannah and Craig mark the third generation of the Barnes family to run a farm shop in the village. 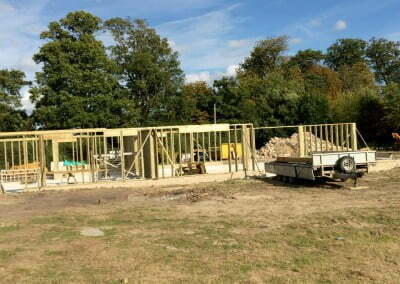 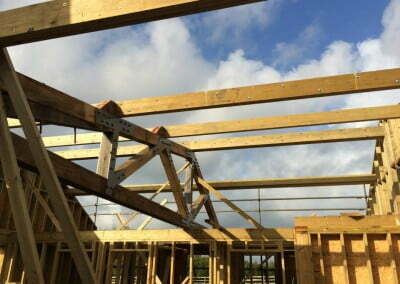 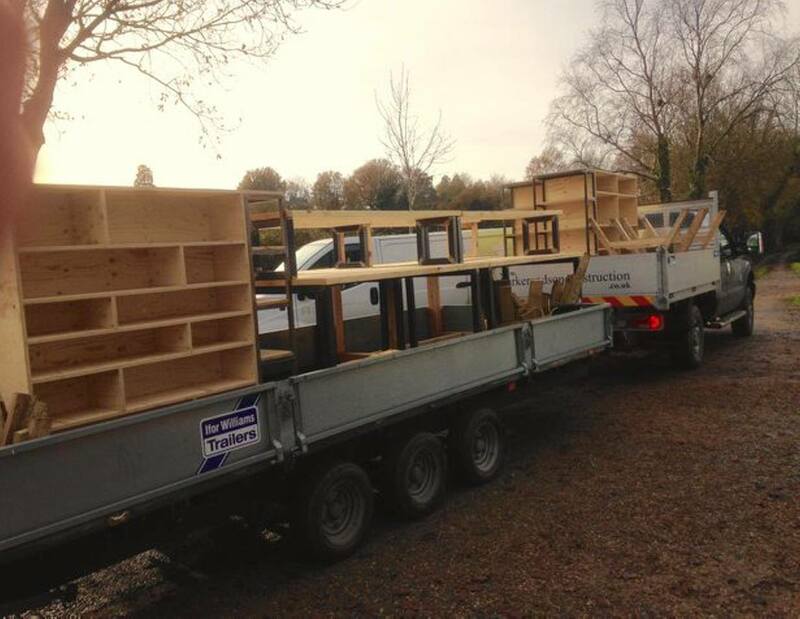 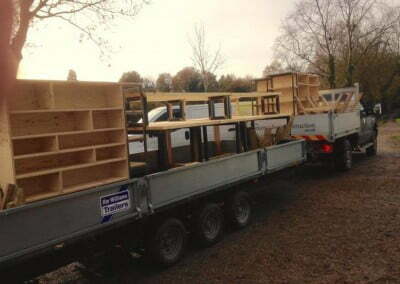 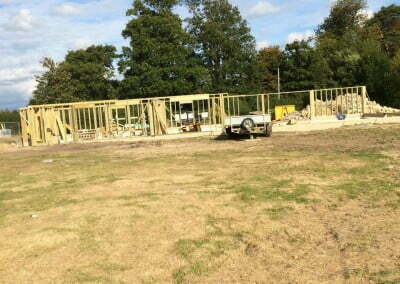 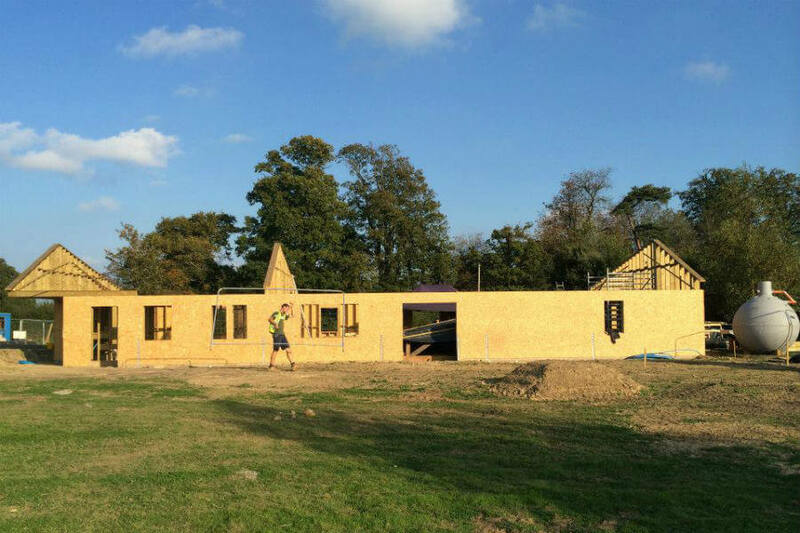 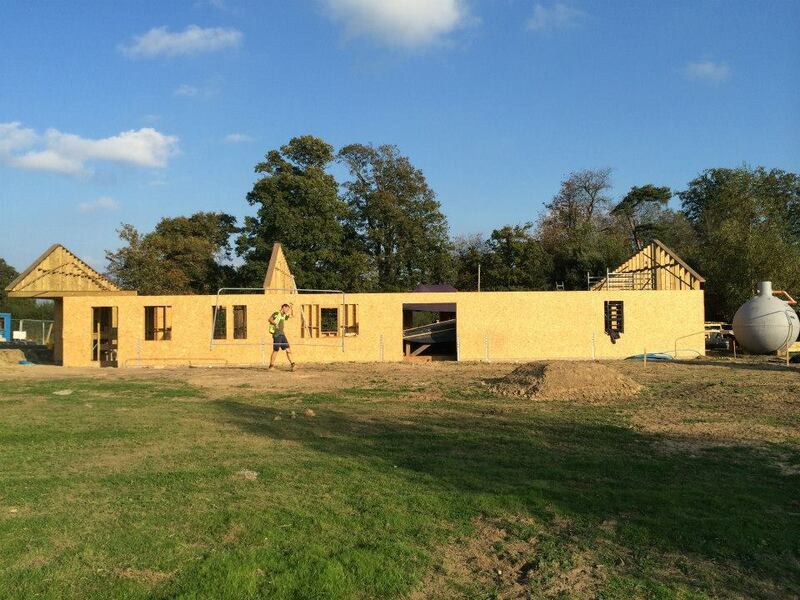 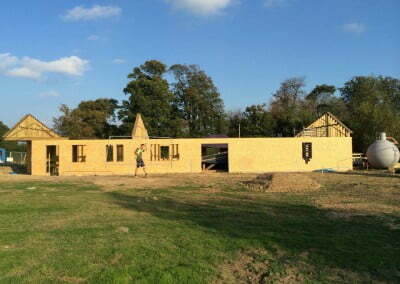 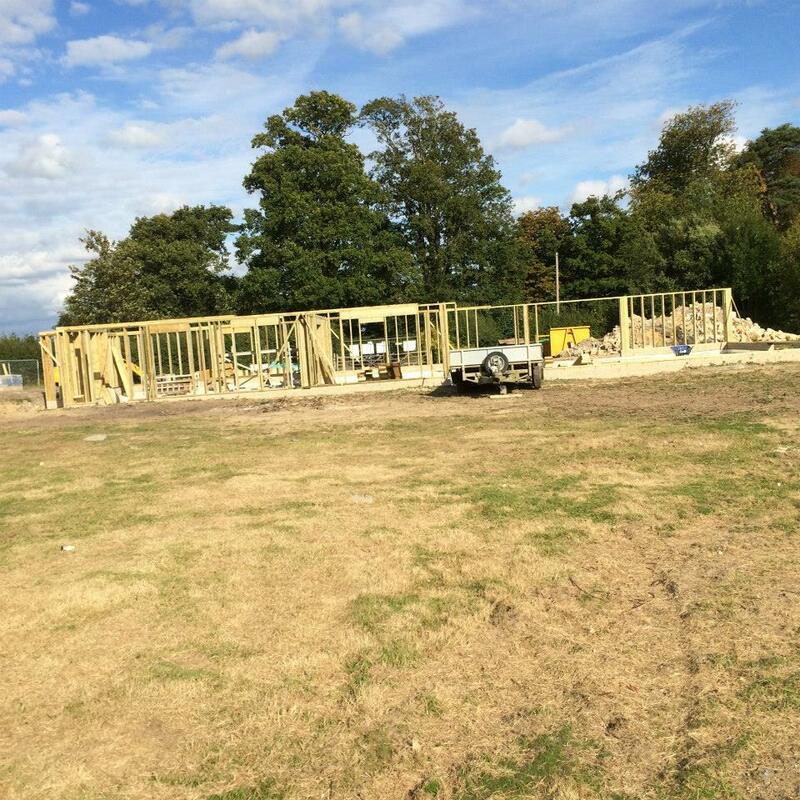 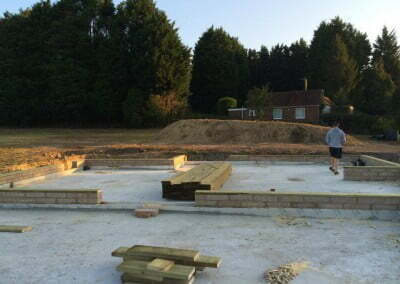 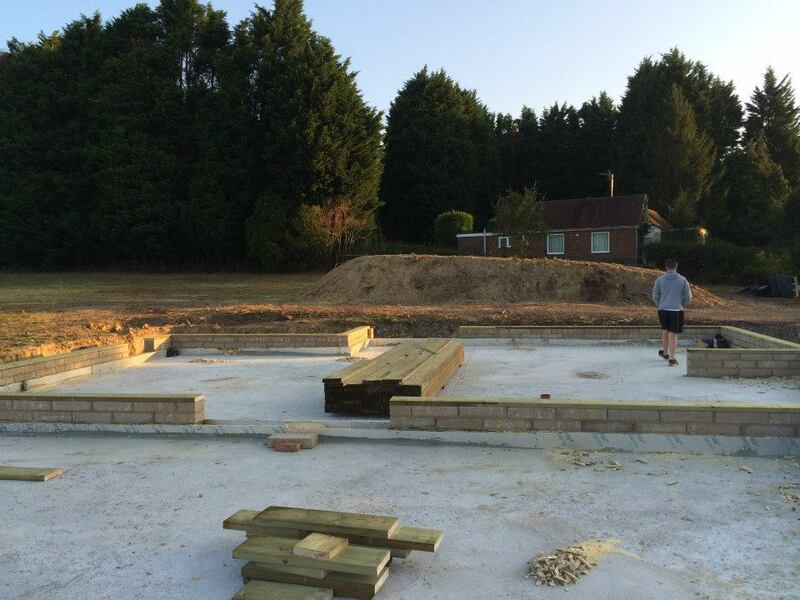 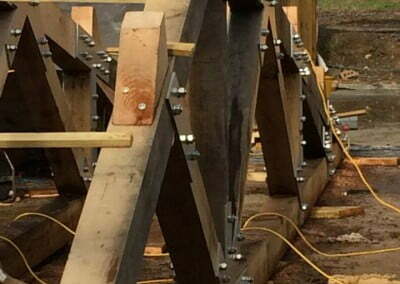 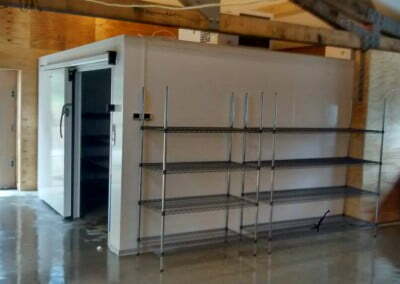 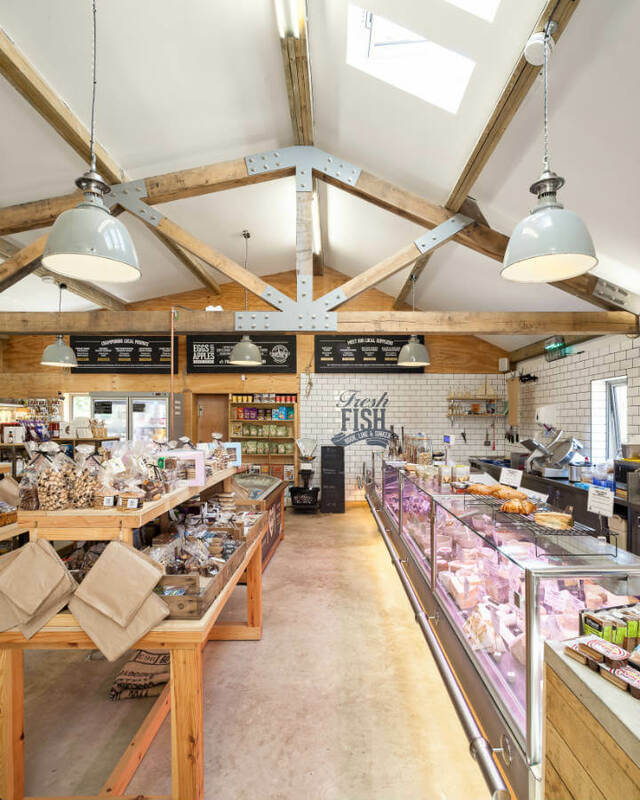 The family has resided in Hurst Green since the 1960’s and their involvement in the local farming and village community has been fundamental to developing the concept of the business. 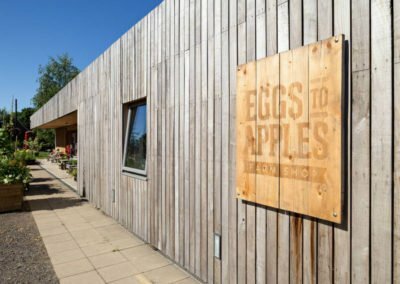 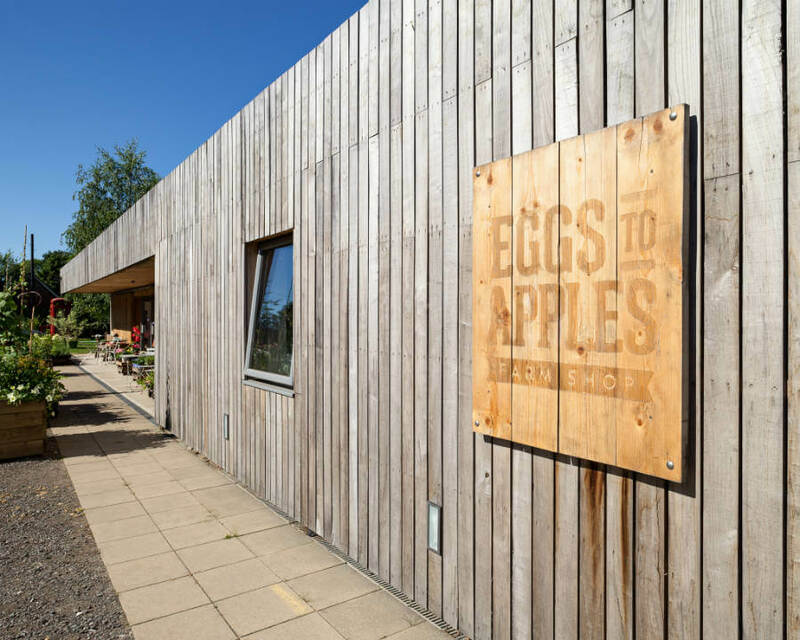 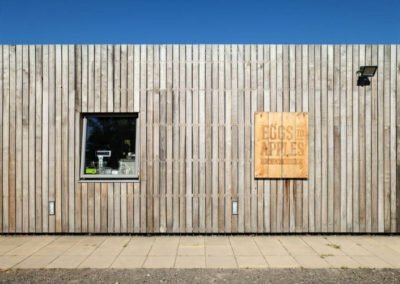 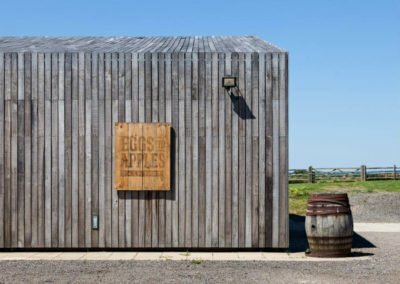 Indeed, Eggs to Apples has been built on the site of the original Lodge Farm Shop started by Susannah’s father and grandfather in 1972. 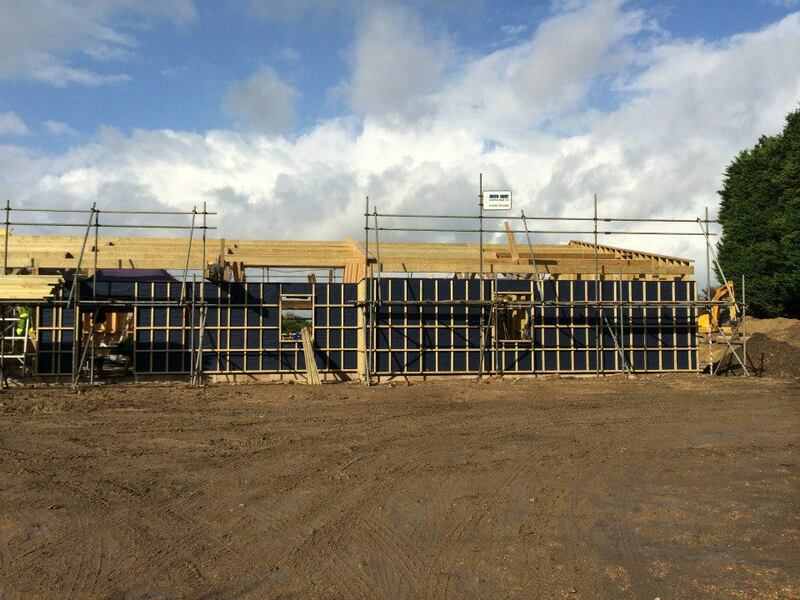 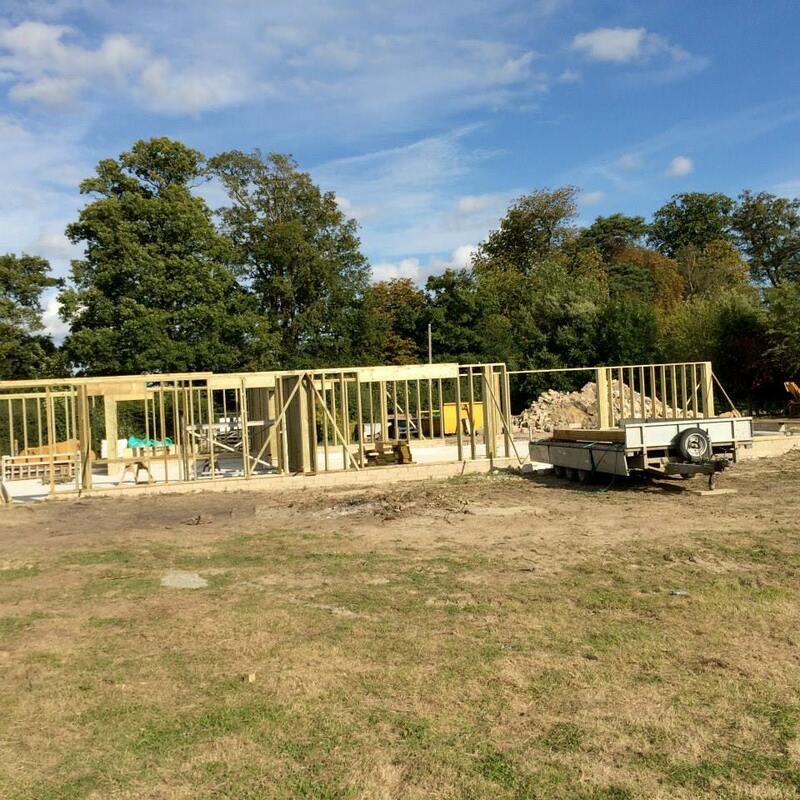 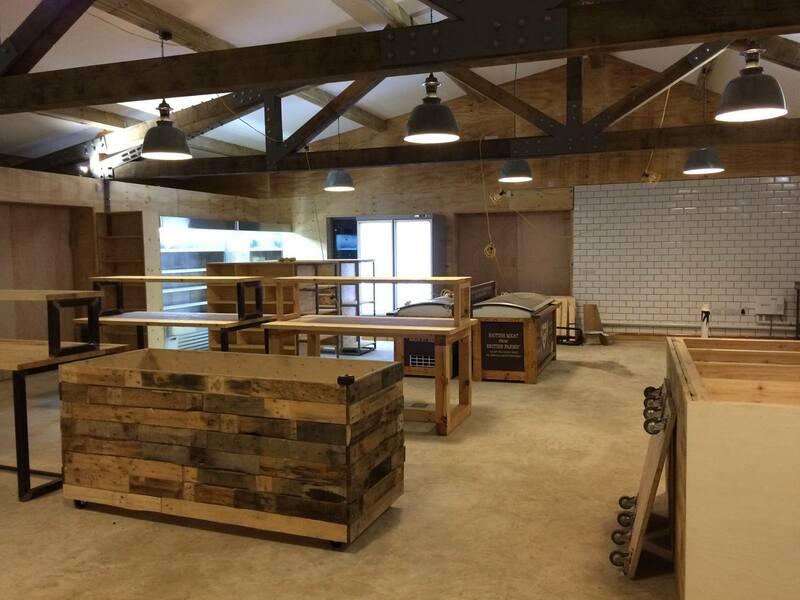 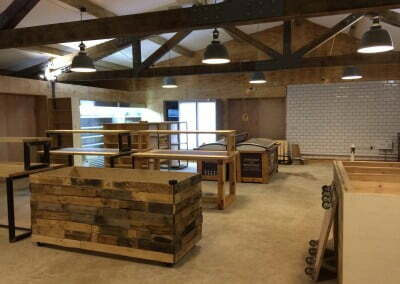 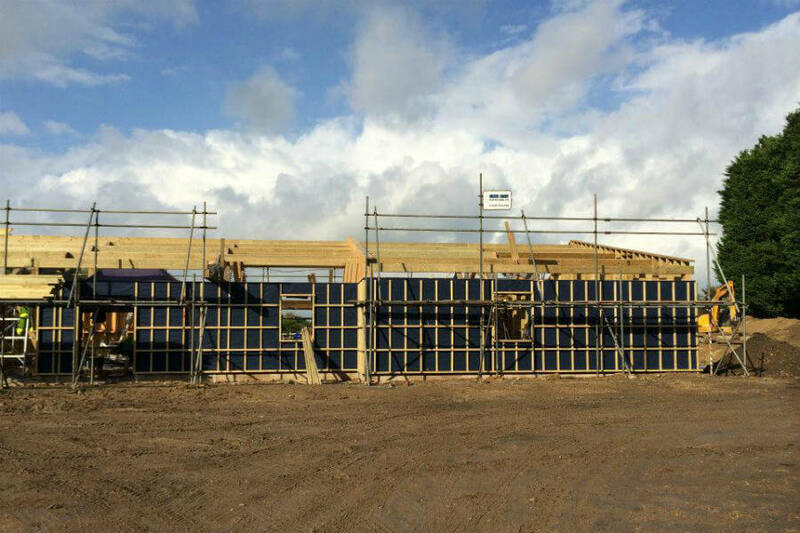 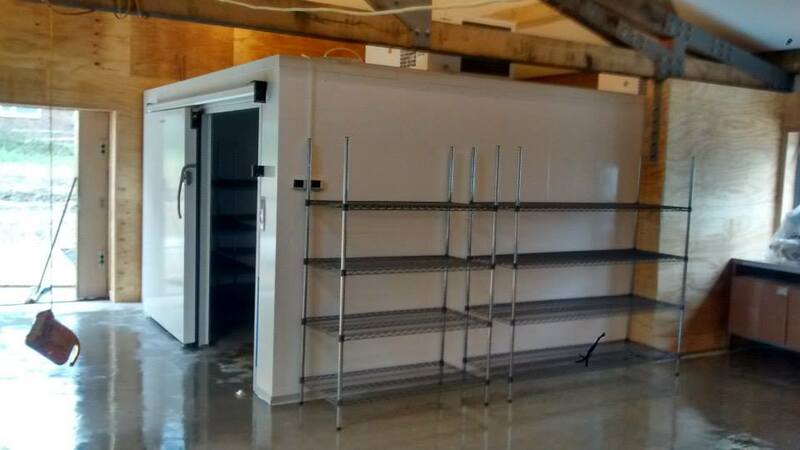 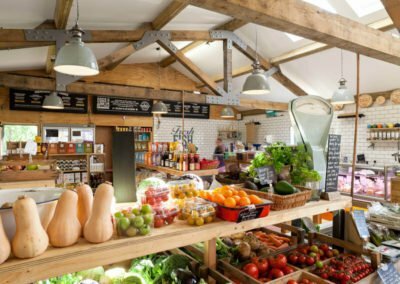 Soon after Lodge Farm Shop was established as they started to grow and sell soft fruit and vegetables from other local farmers. 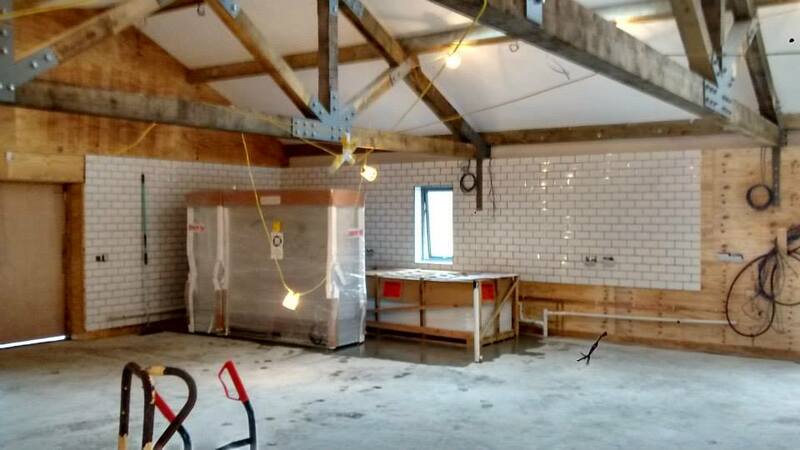 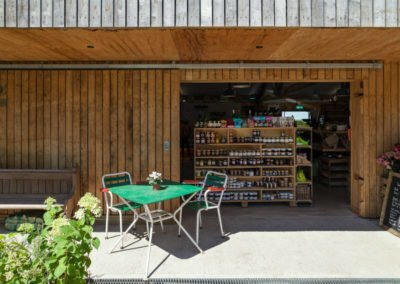 The Barnes family moved sites to set up Orchard Farm Shop in 1989, it’s opening coinciding with the public’s shift towards food provenance and traceability. 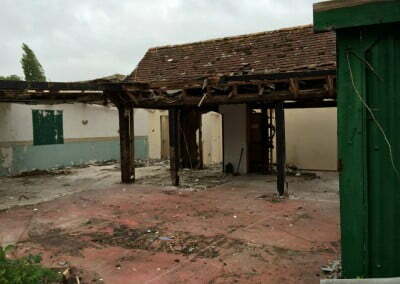 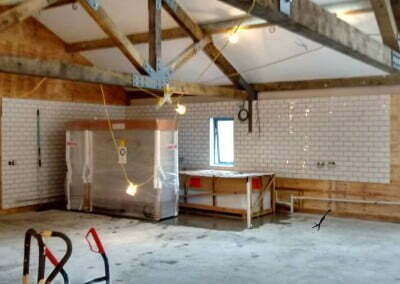 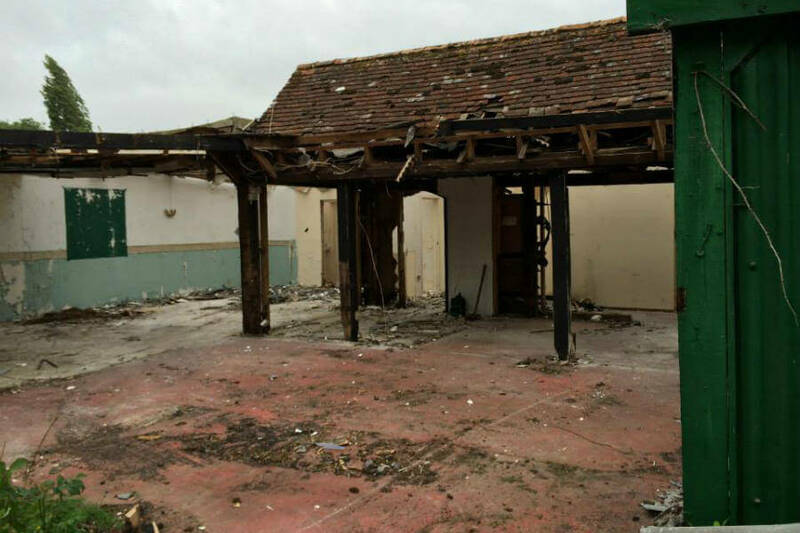 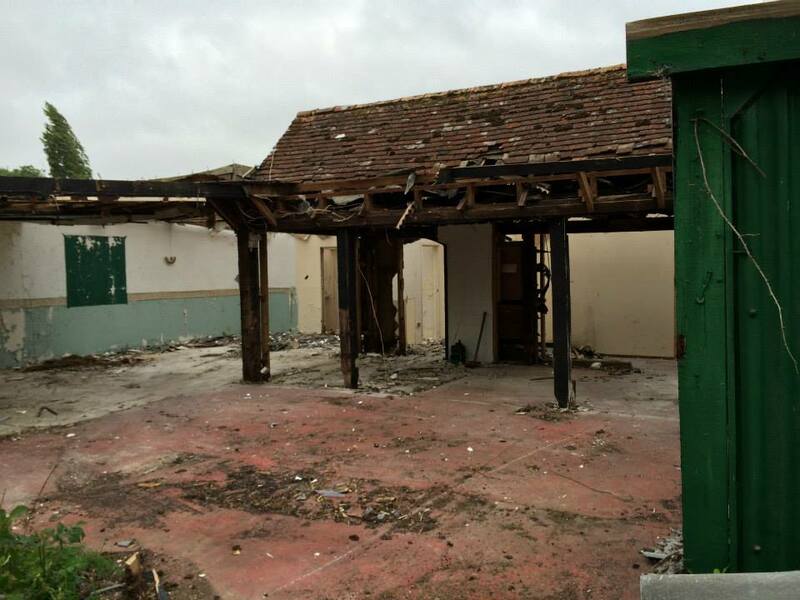 Fast forward to 2009 and the now retired Richard Barnes seizes the opportunity to buy the original farm shop site which has been left derelict for 15 years. 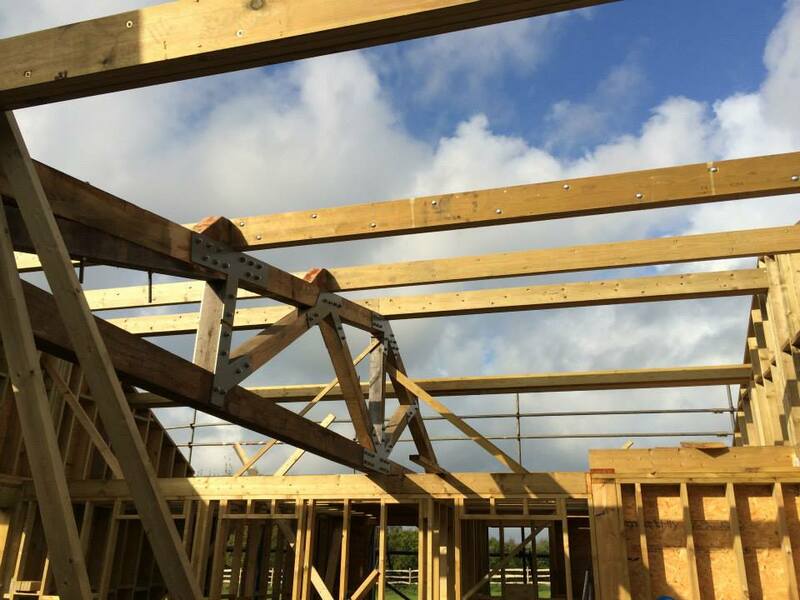 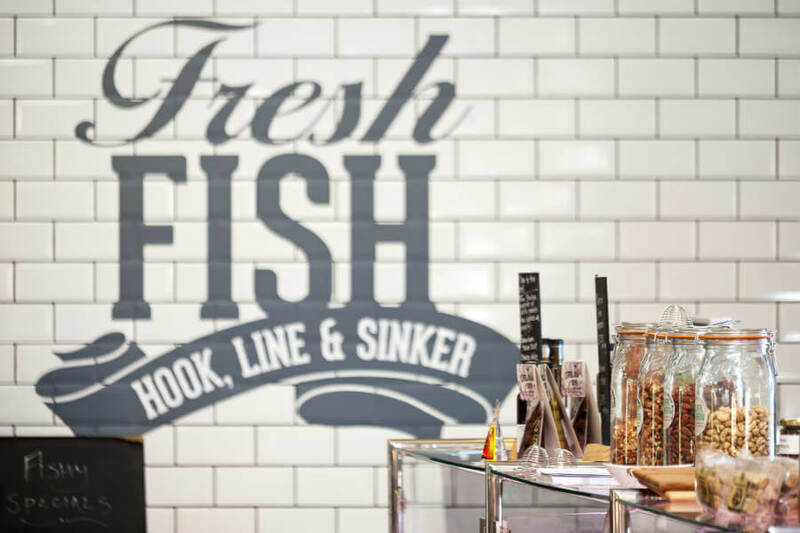 Meanwhile, after cutting her teeth on the family business Susannah and Craig’s journey had taken them from Sussex to Newcastle, London, Brighton and to the Middle East where they took up the challenge of returning to build a new business from scratch on the old site. 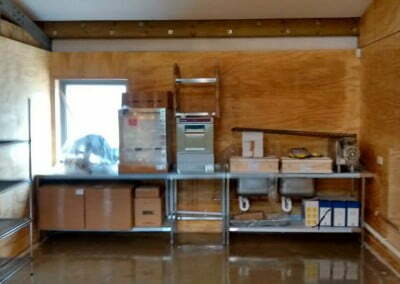 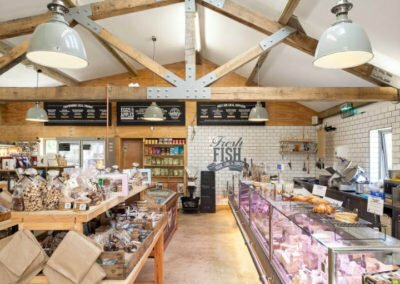 The design and development of the shop was a true family affair with Richard and Patricia’s son Matthew and son in law Martin, heavily involved in the design, build and branding of the shop. 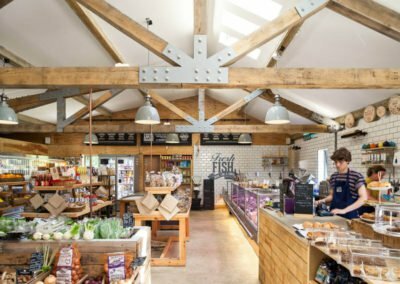 Matthew’s friend Nilesh Shah of Russian For Fish was the architect and the building came to life thanks to James Parker of Parker and Sons Construction and his team. 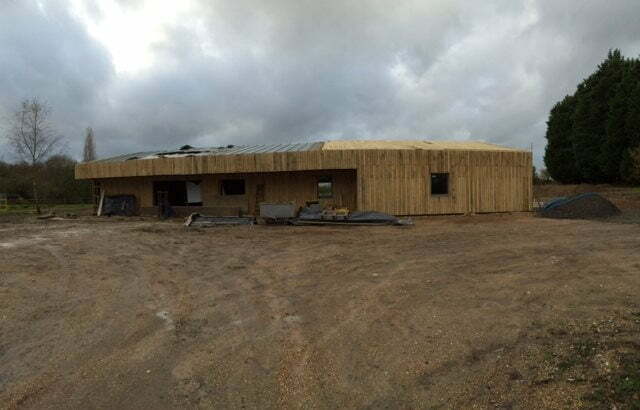 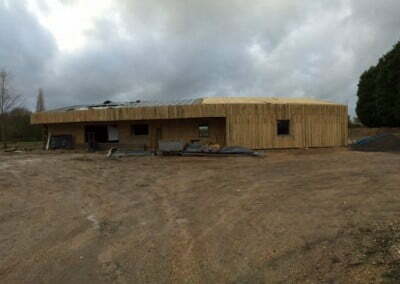 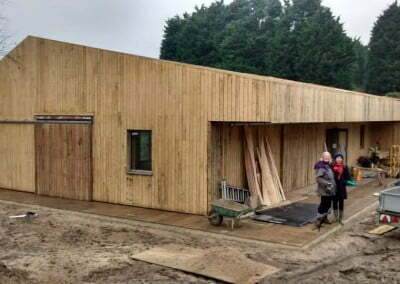 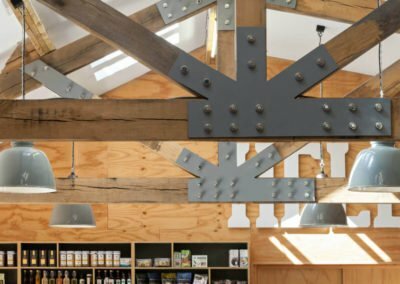 The farm shop building itself places the Area of Outstanding and Natural Beauty in which it resides at the core of its design. 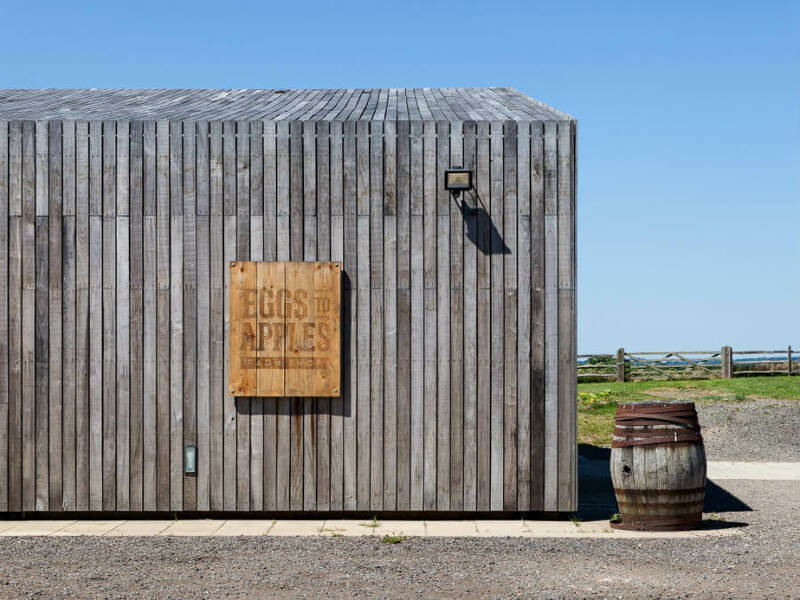 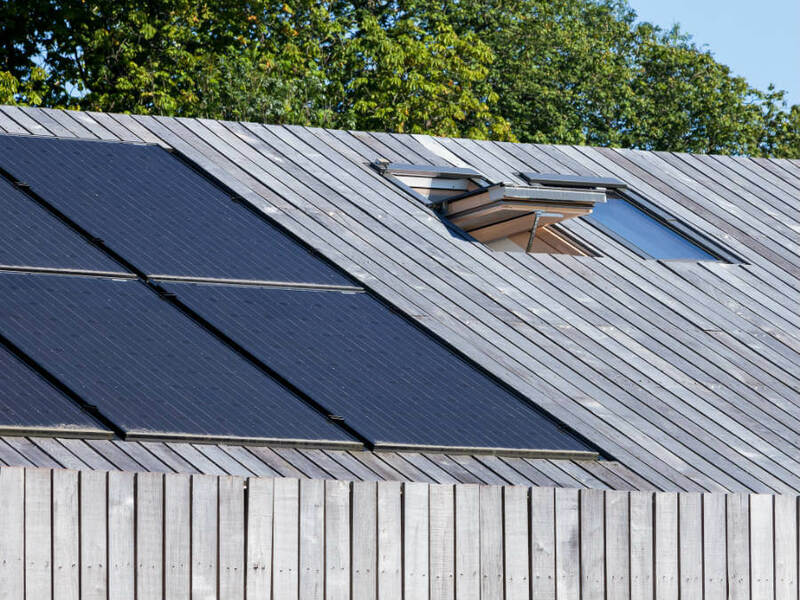 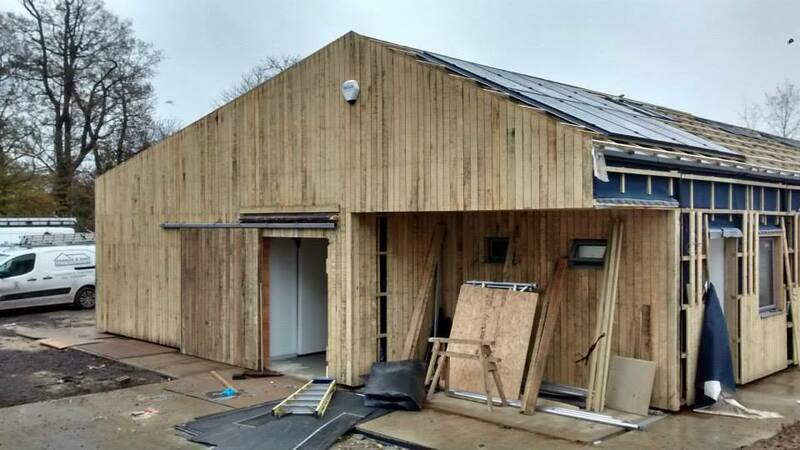 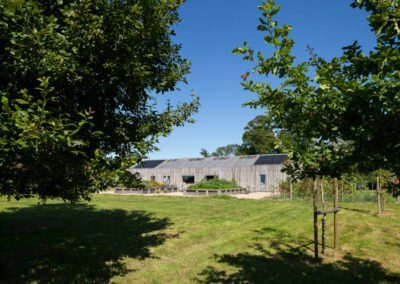 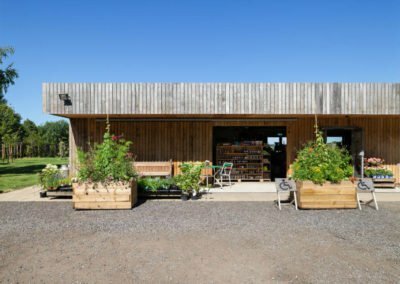 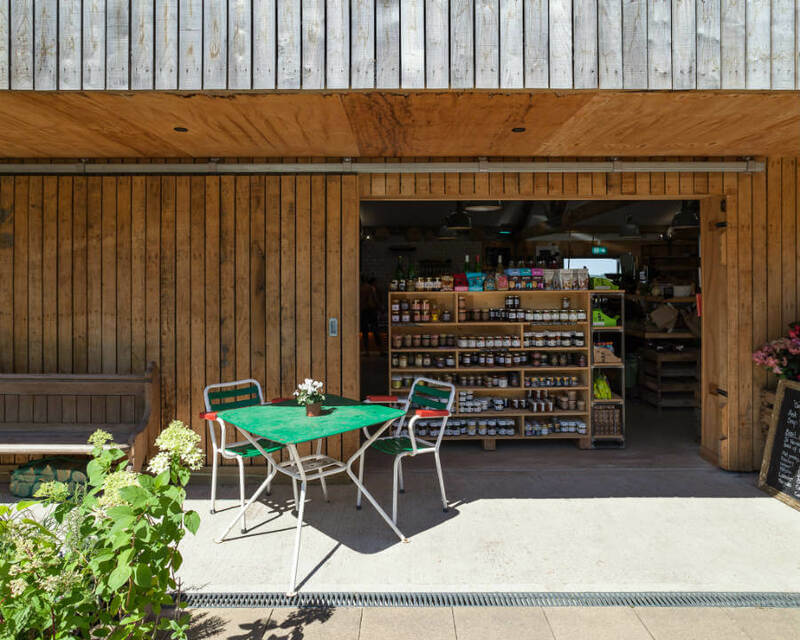 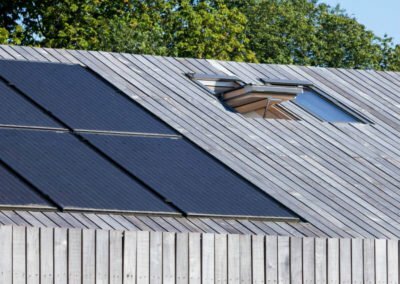 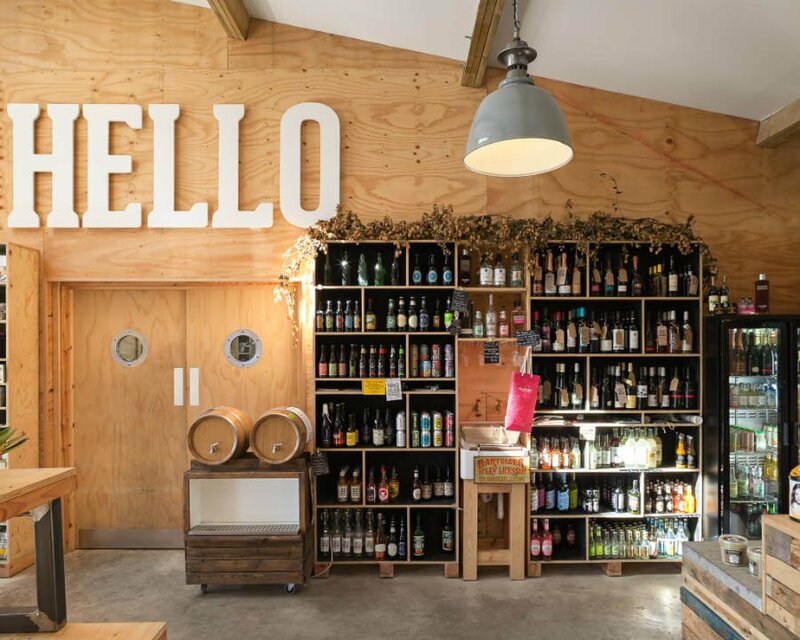 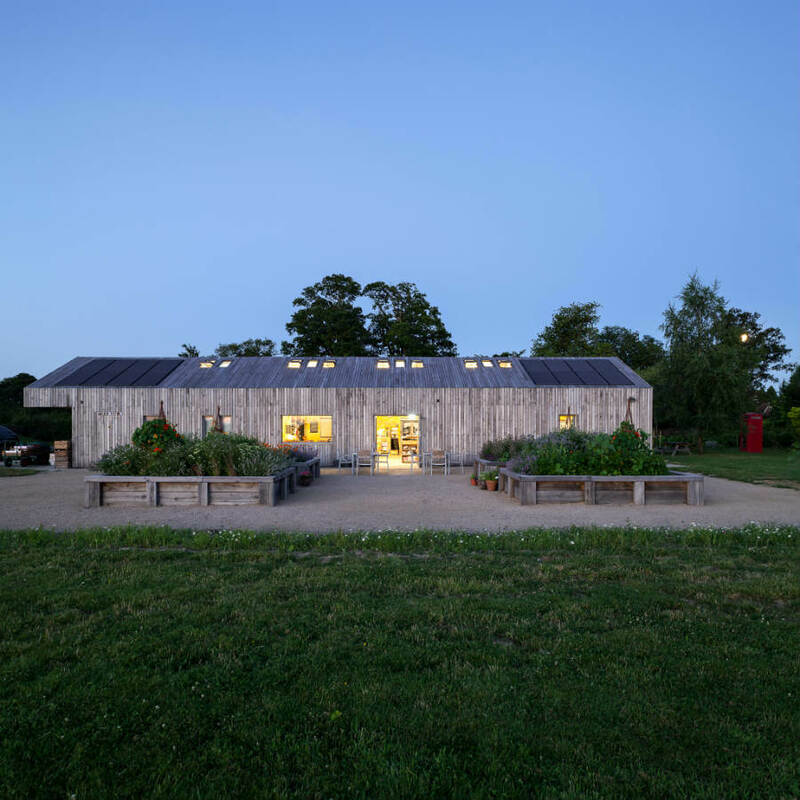 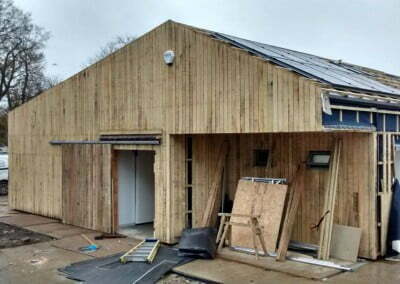 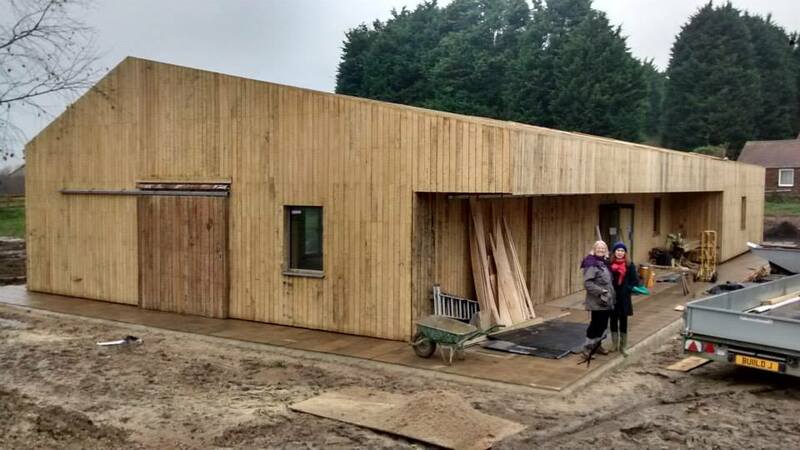 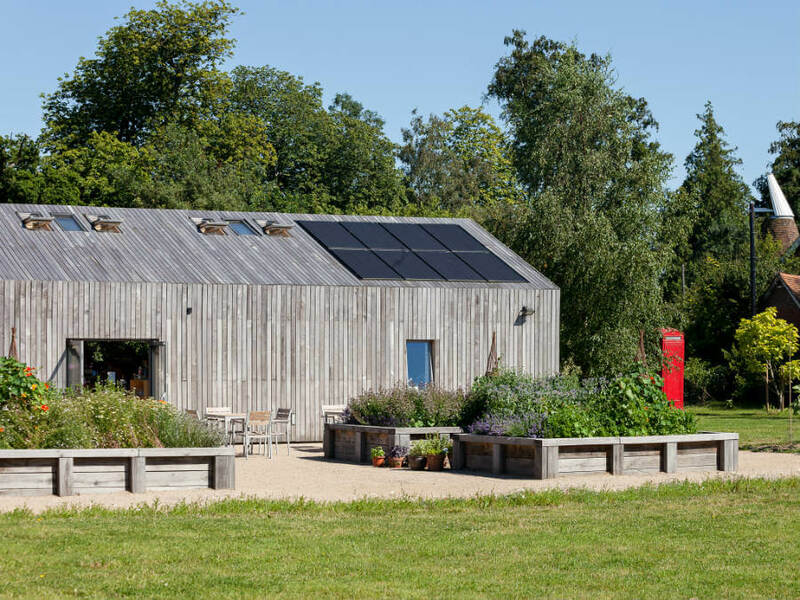 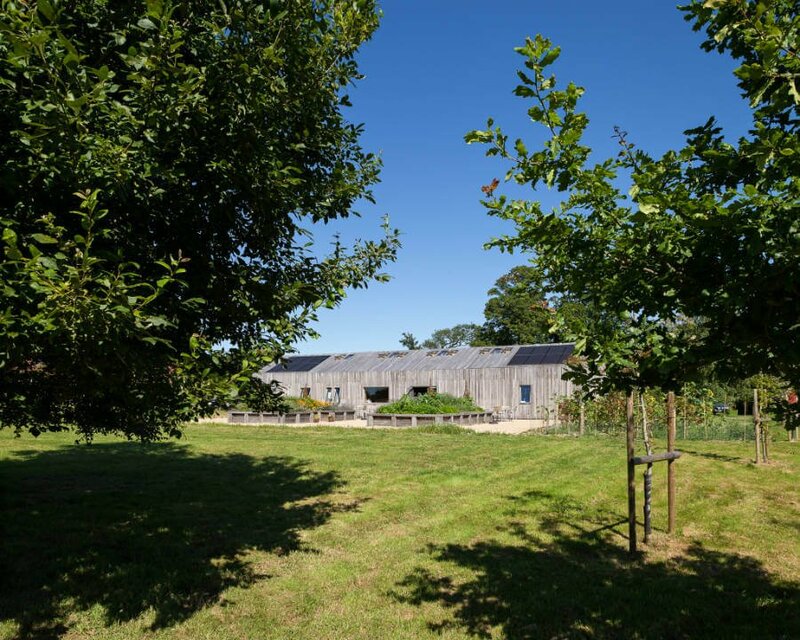 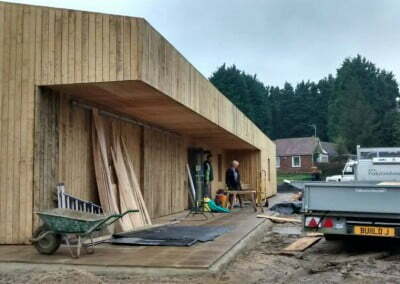 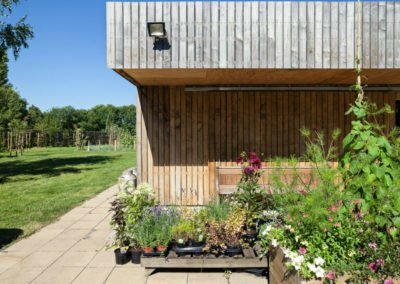 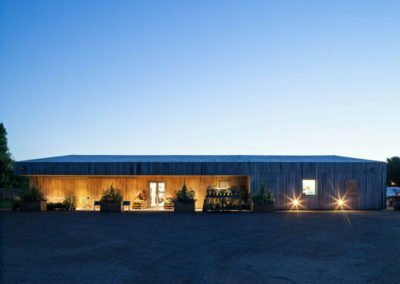 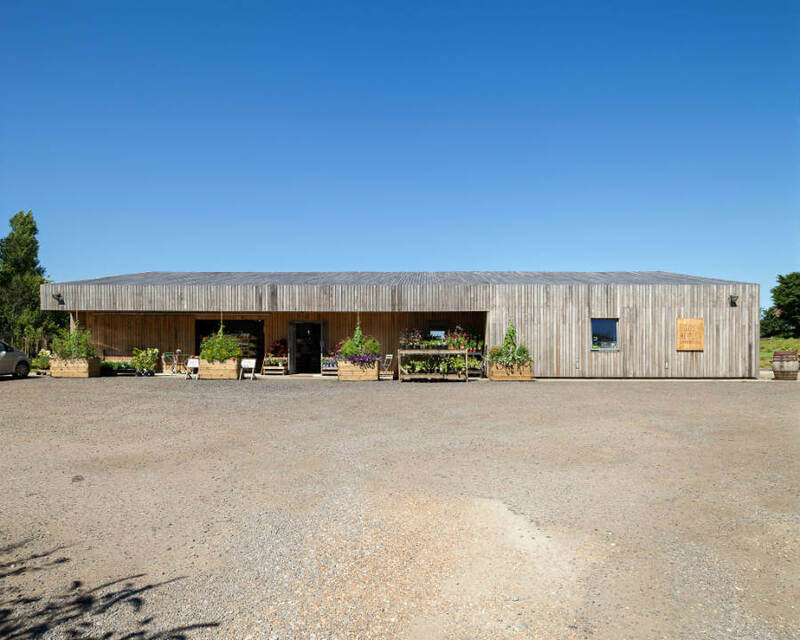 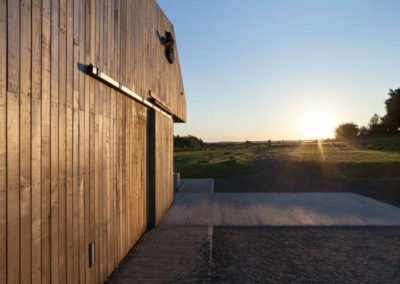 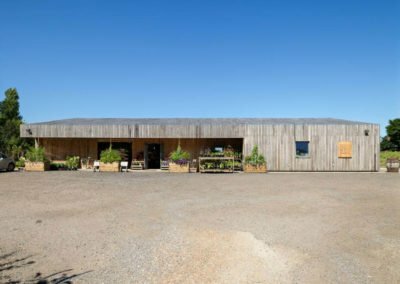 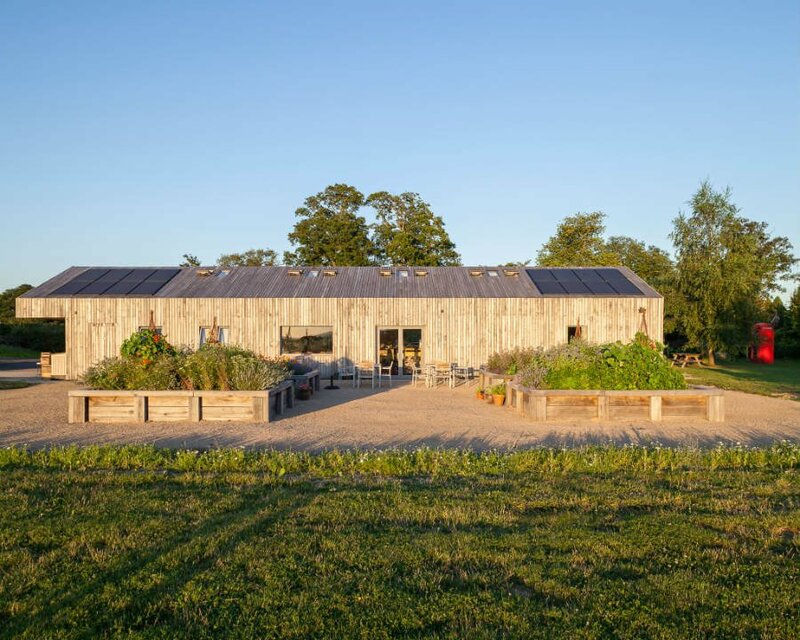 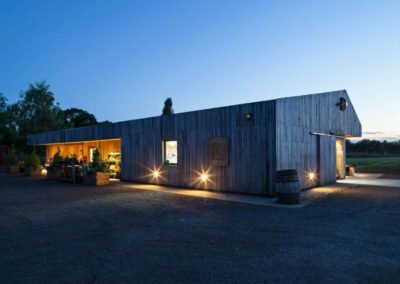 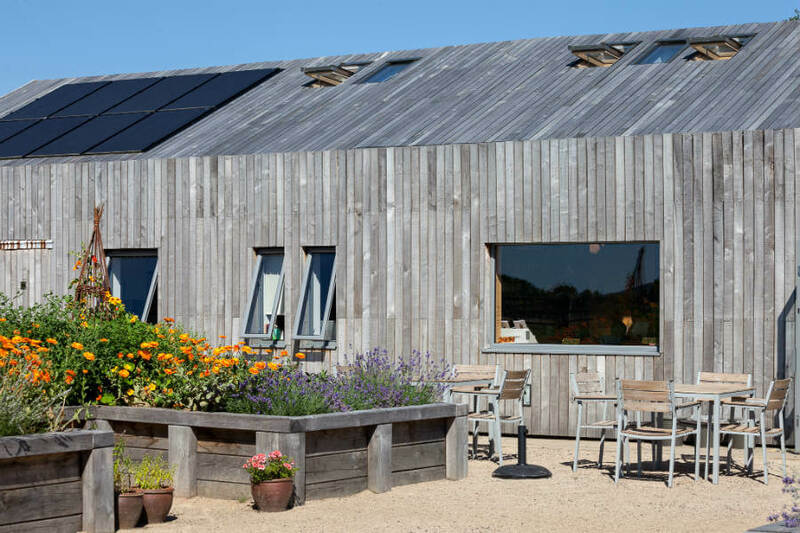 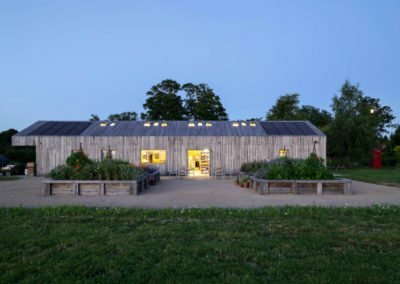 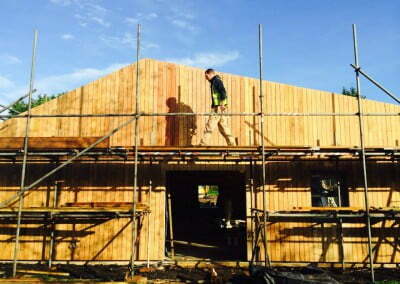 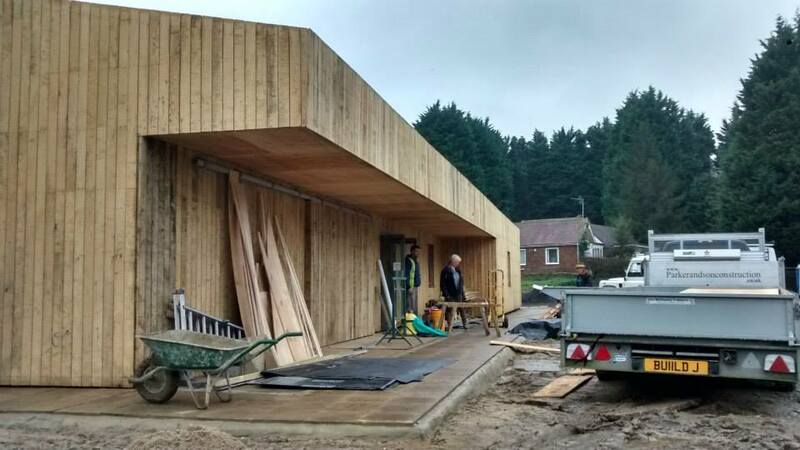 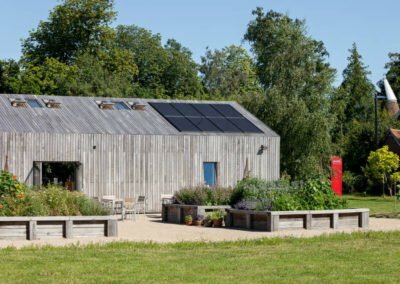 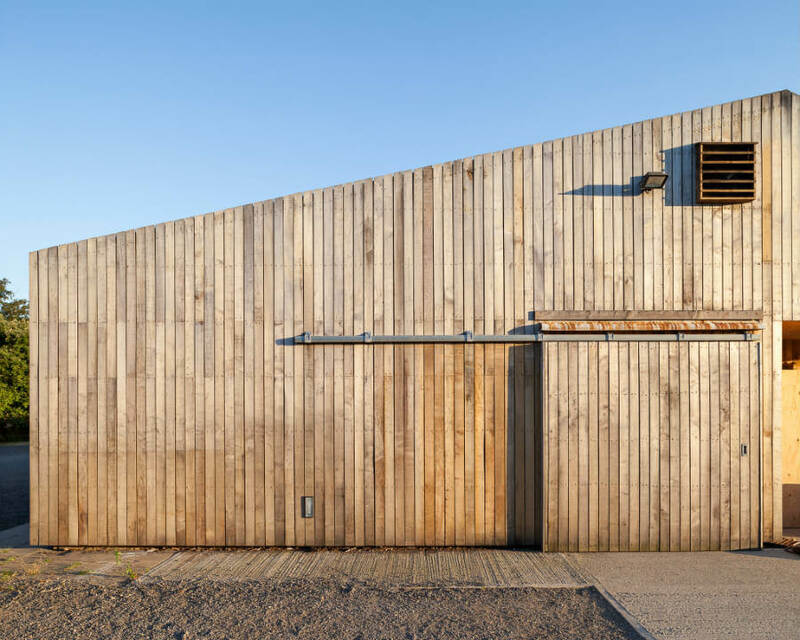 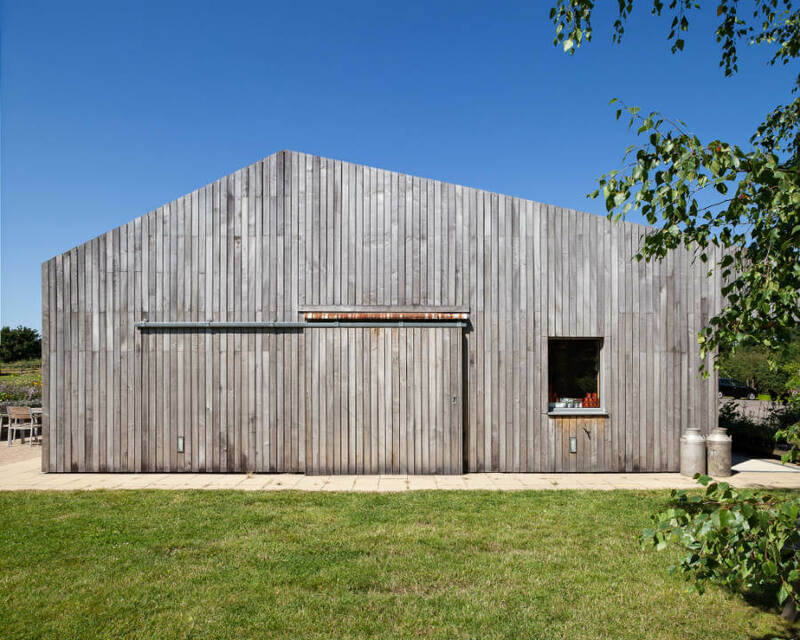 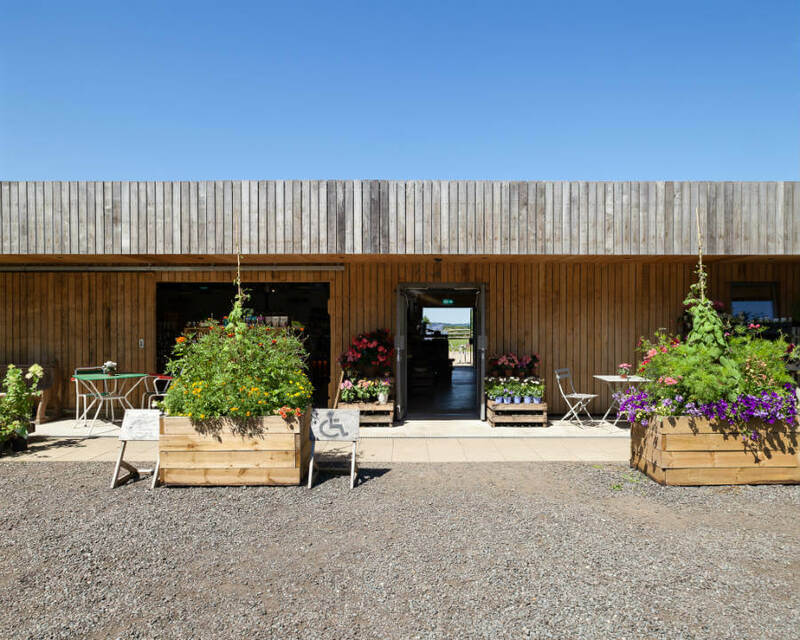 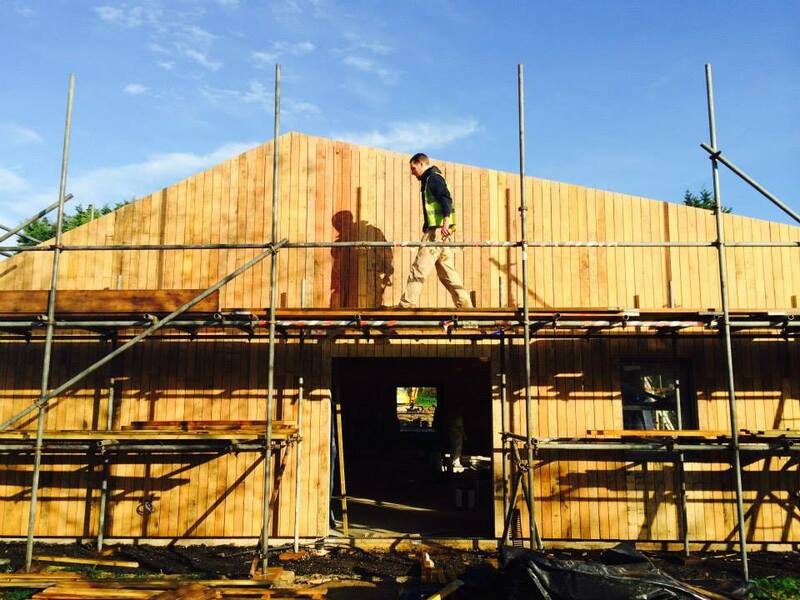 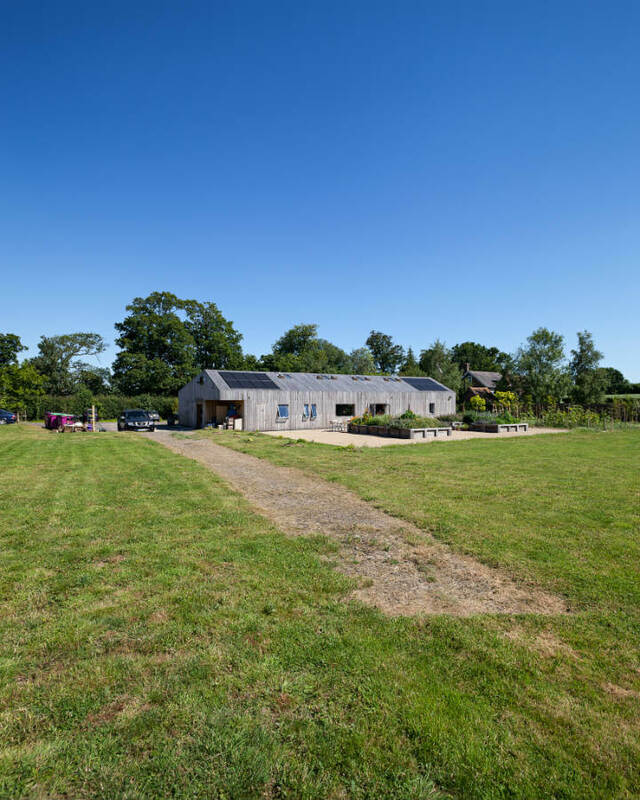 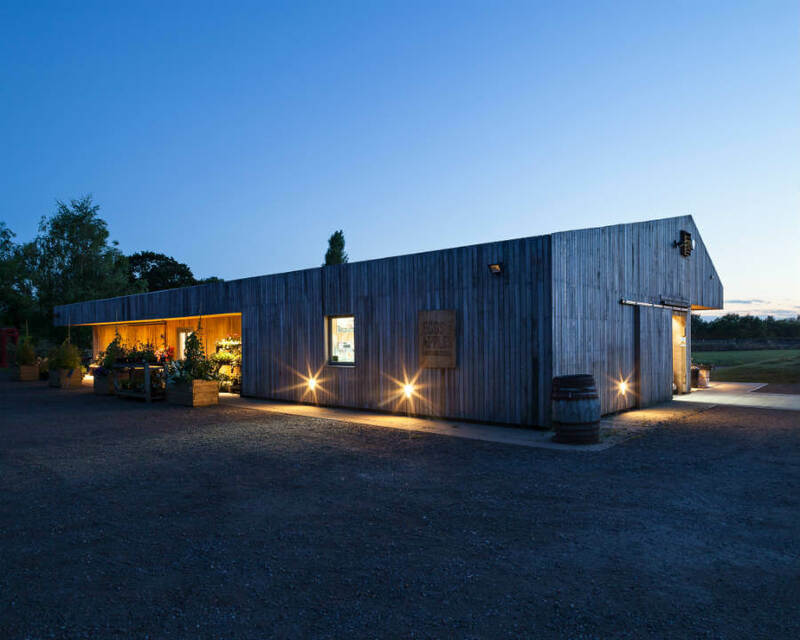 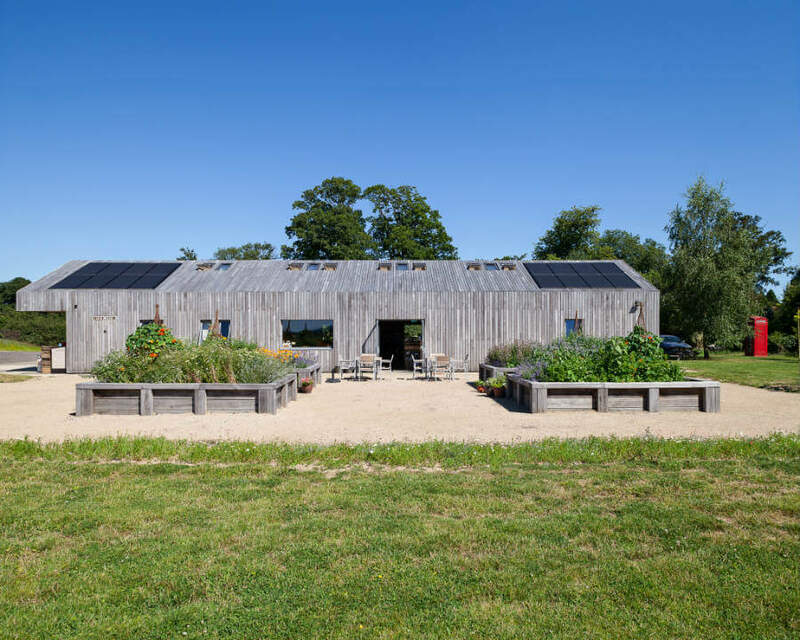 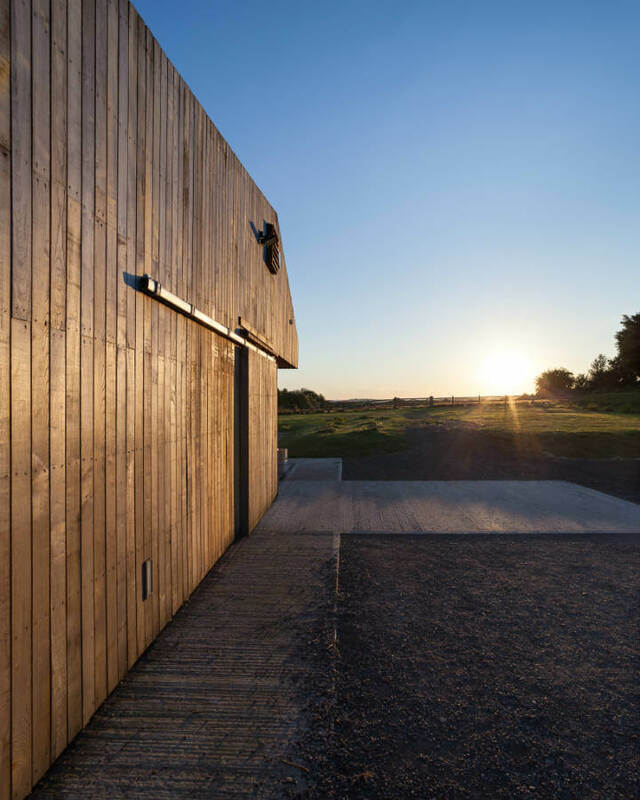 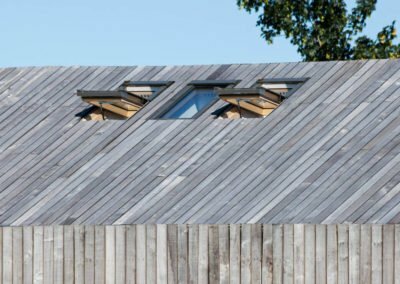 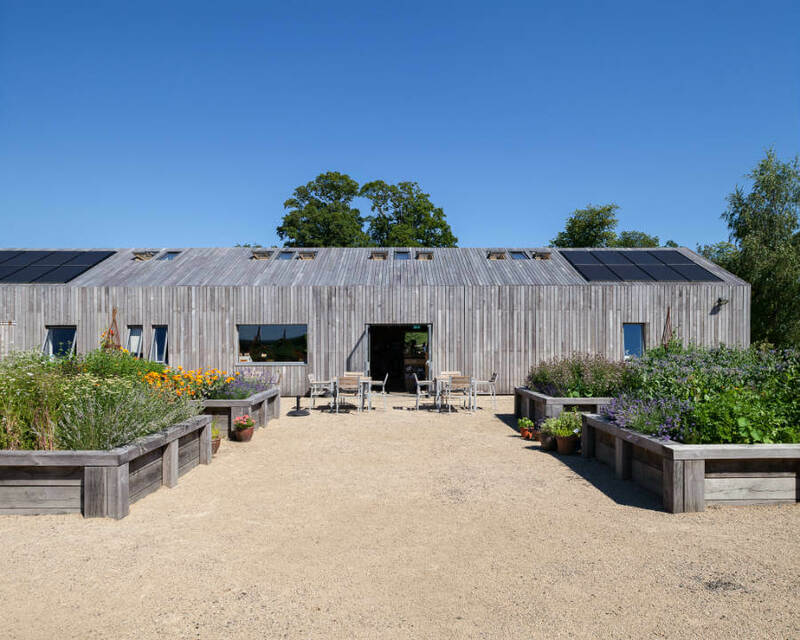 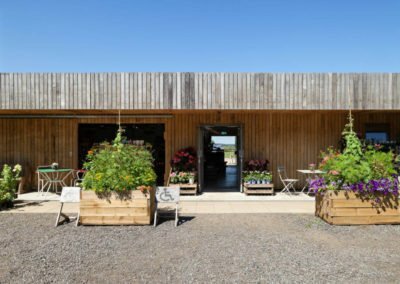 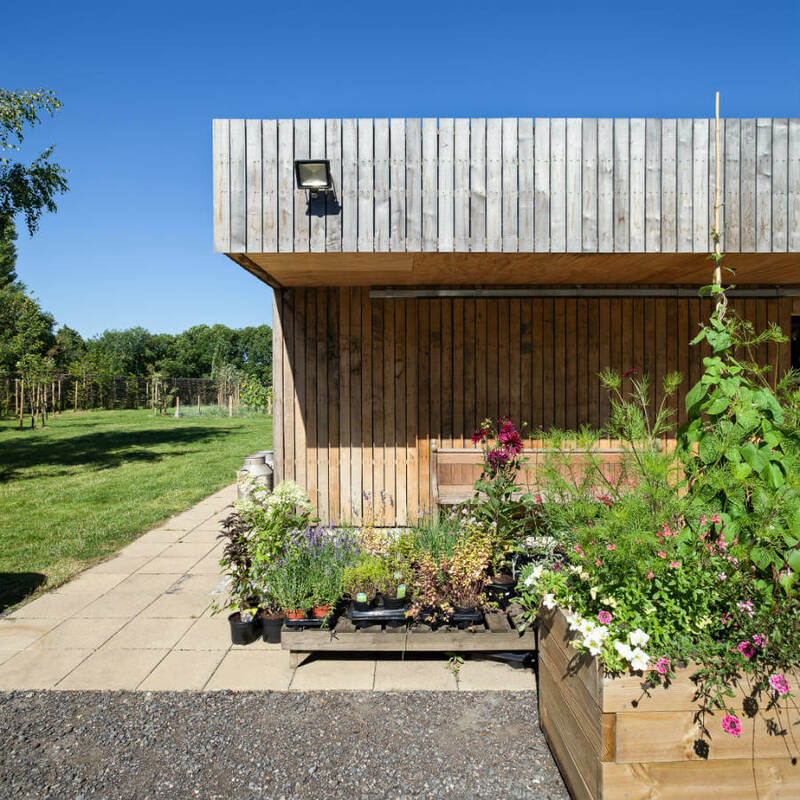 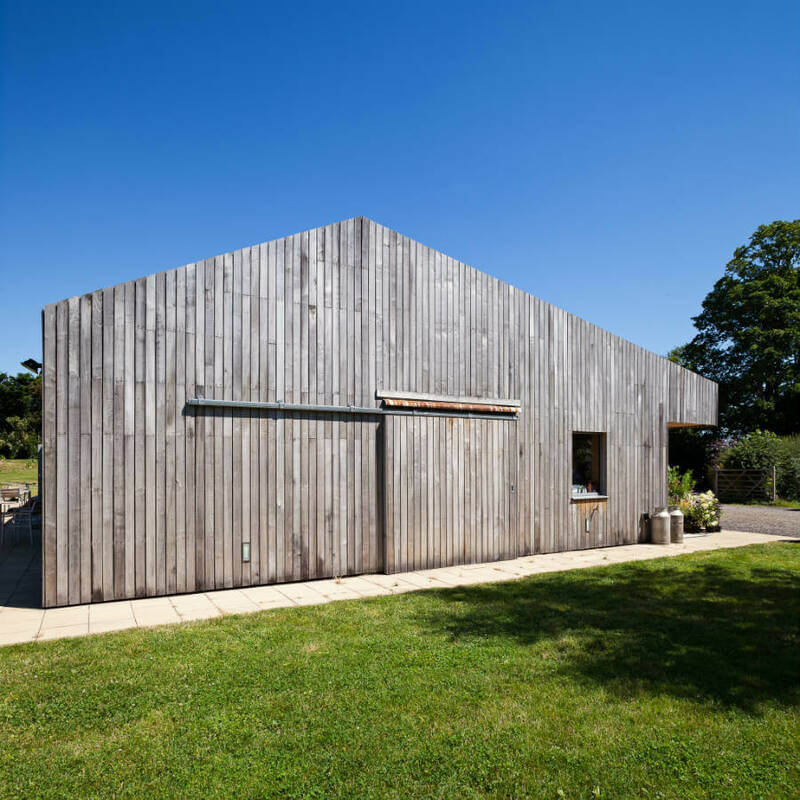 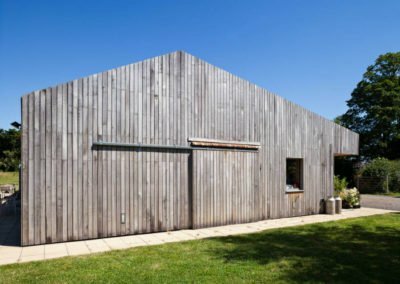 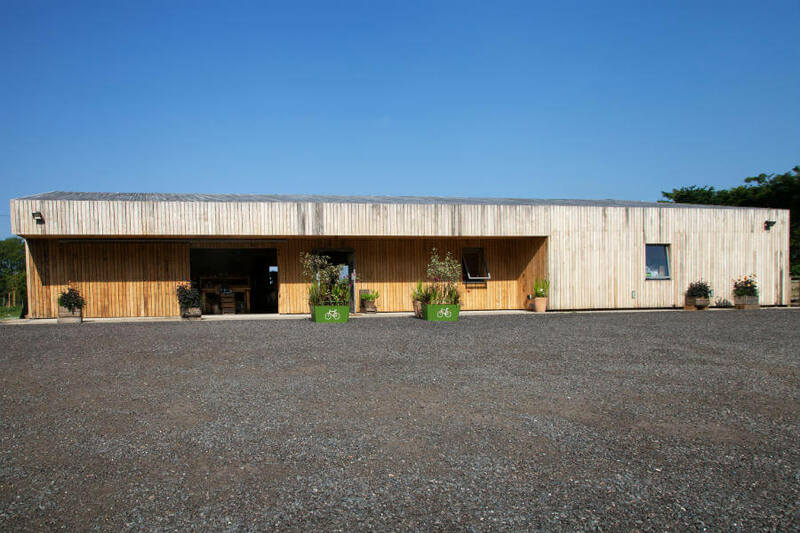 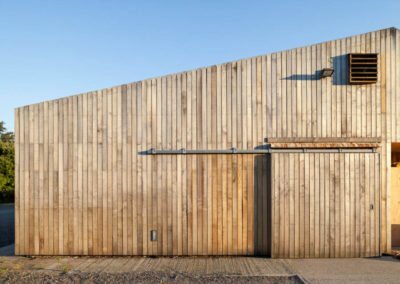 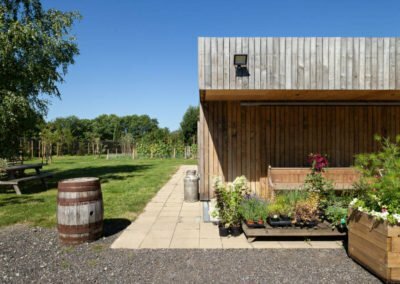 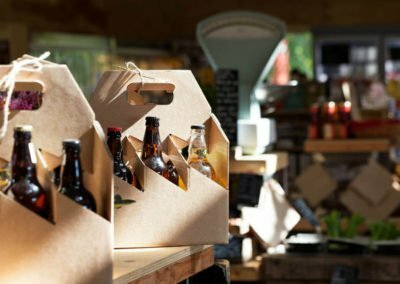 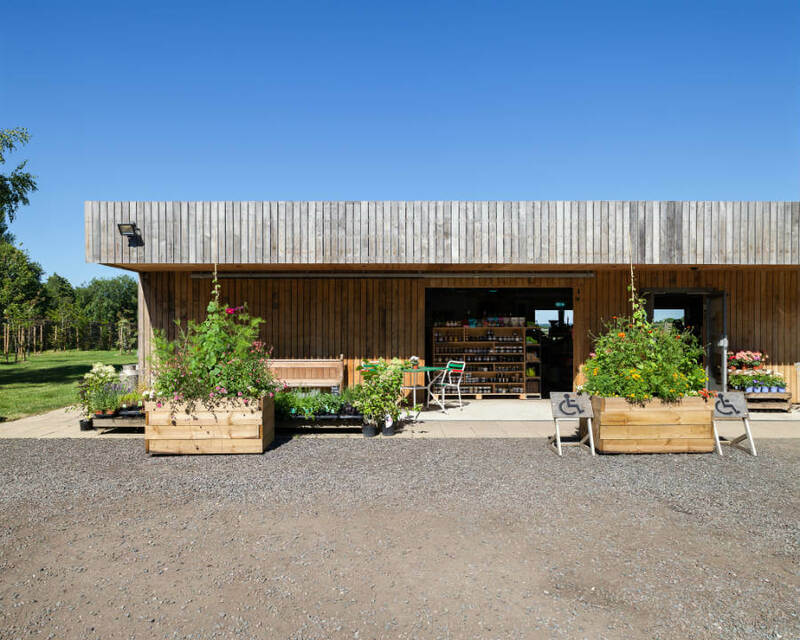 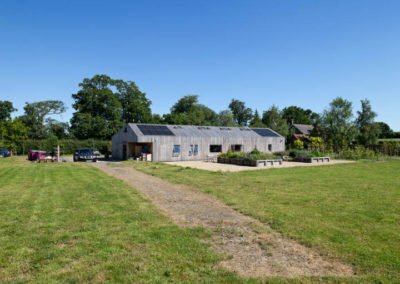 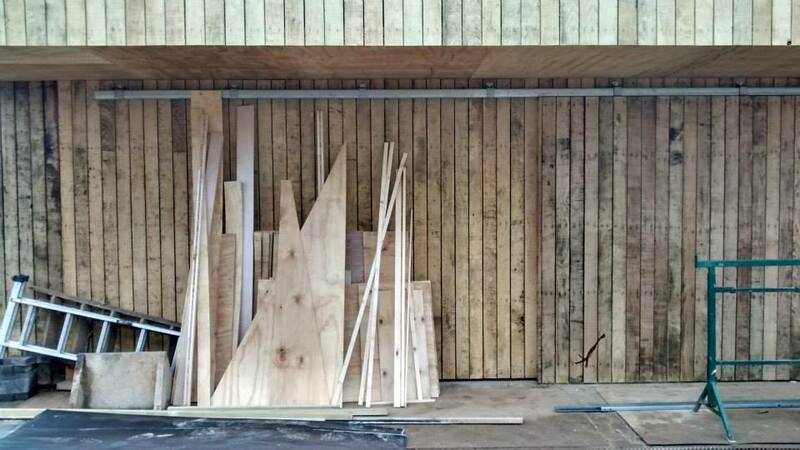 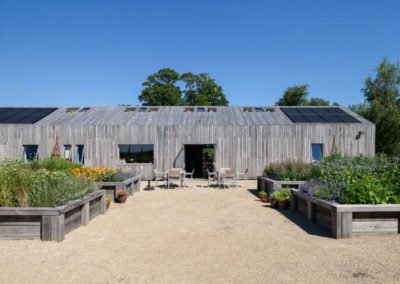 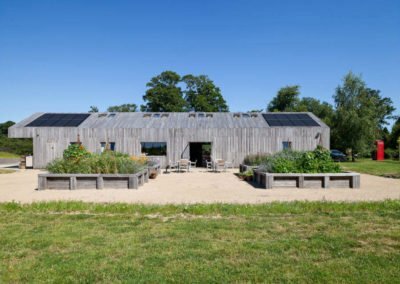 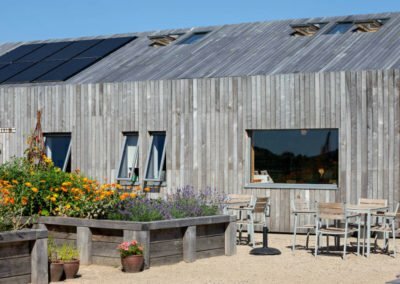 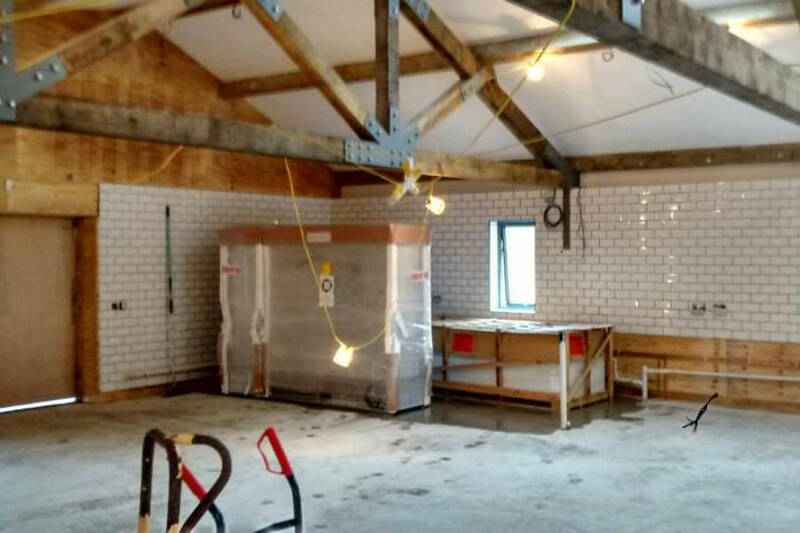 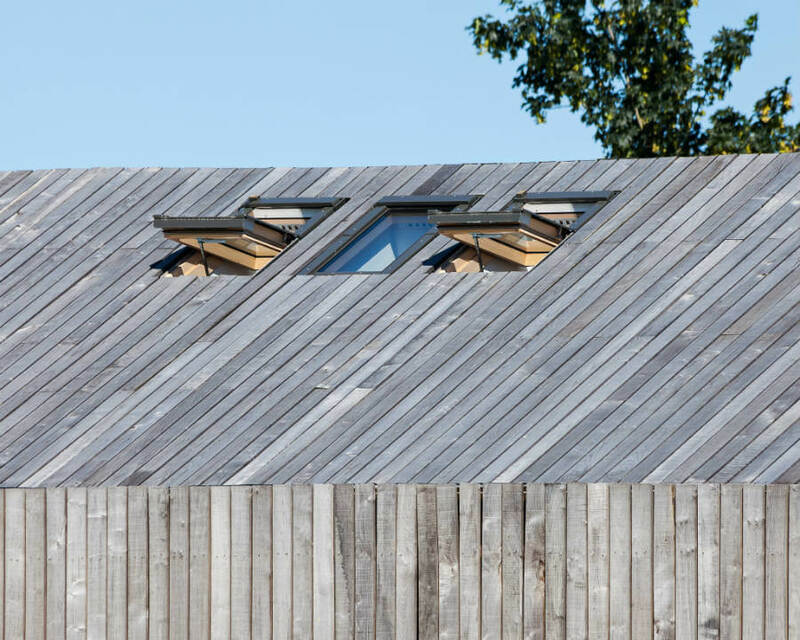 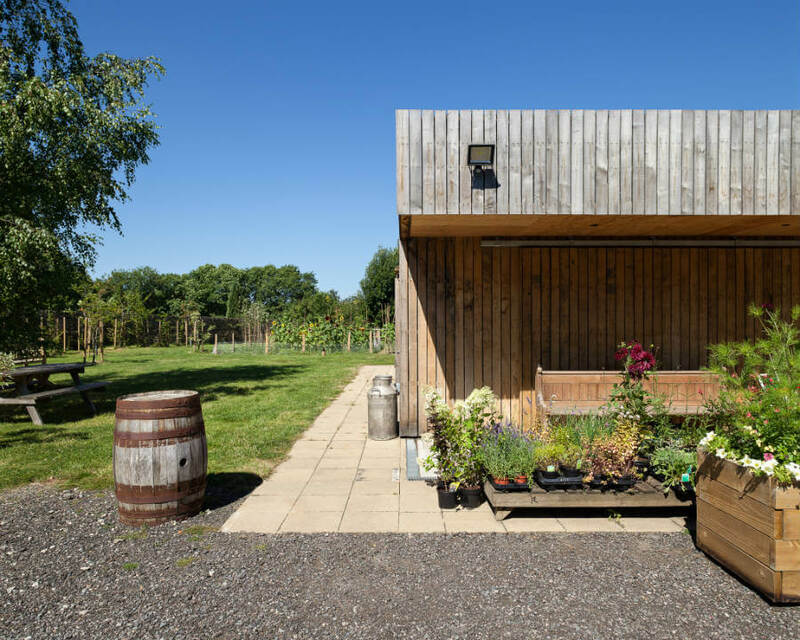 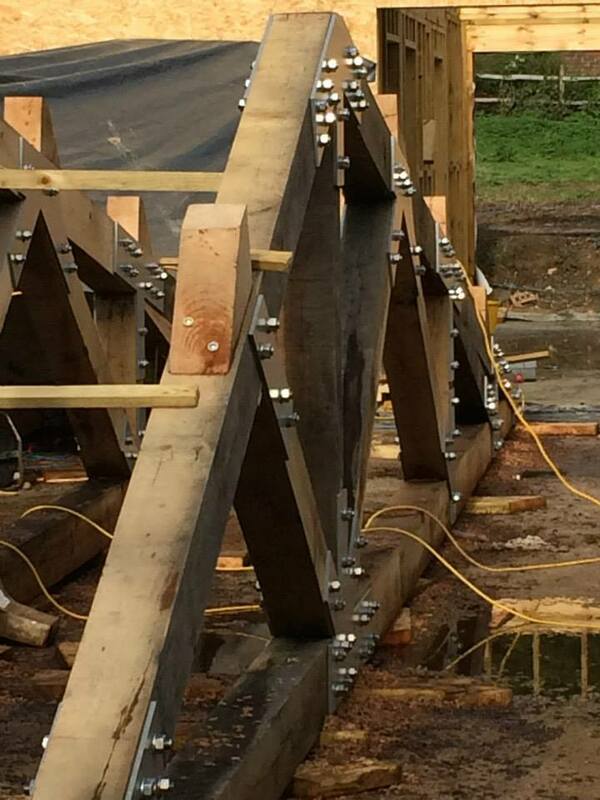 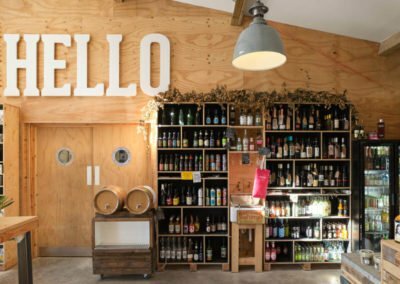 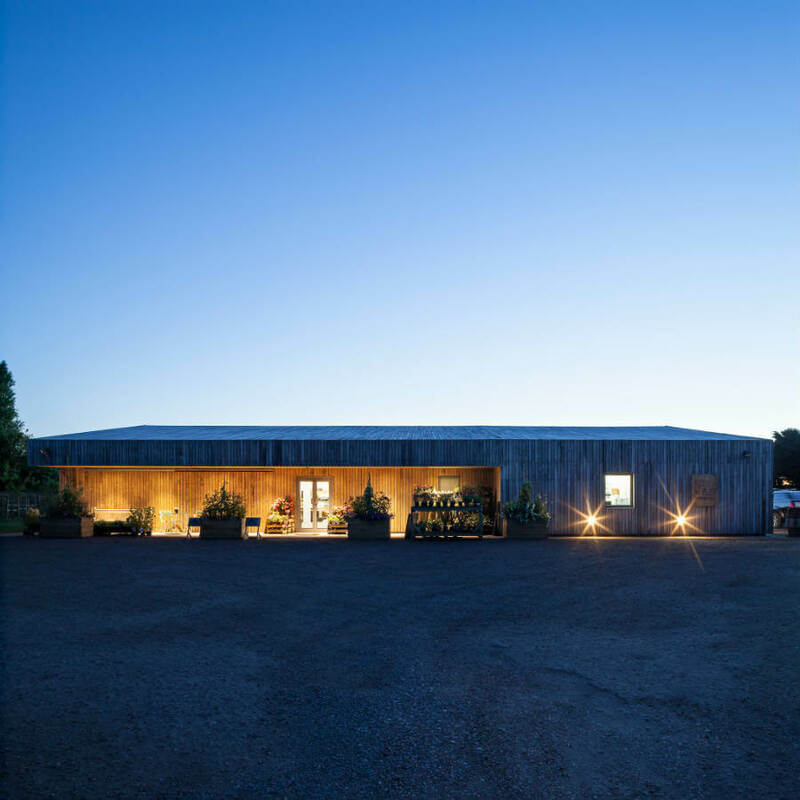 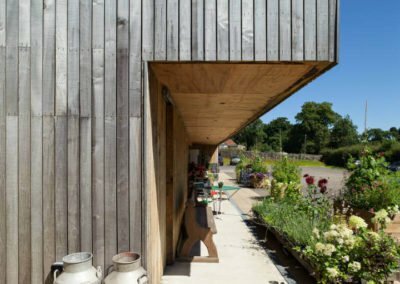 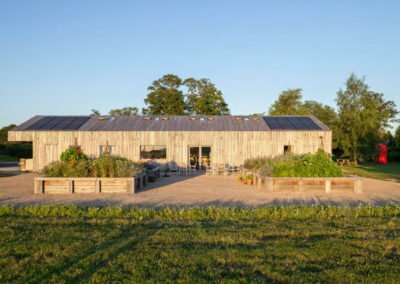 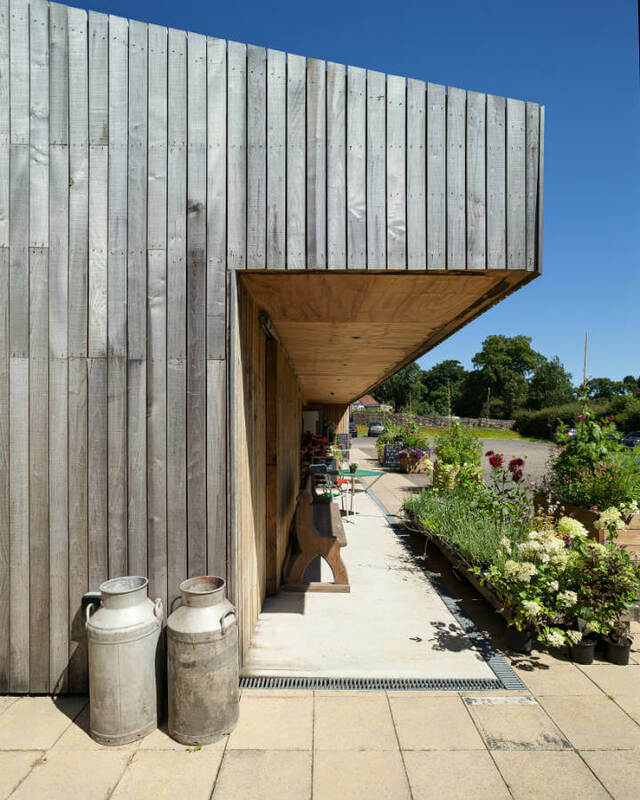 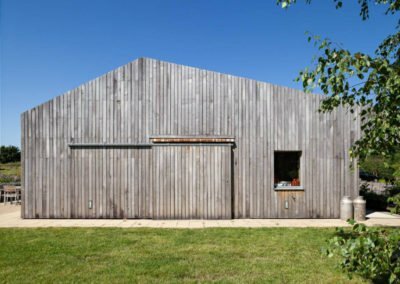 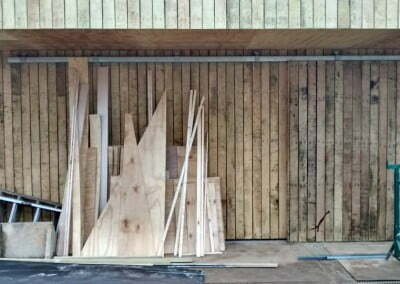 A modern take on a traditional barn, the shop boasts solar panels and 6,000 litre rain water harvester for grey water use, is insulated using Isowool made from recycled glass bottles and clad in locally-prevalent sweet chestnut. 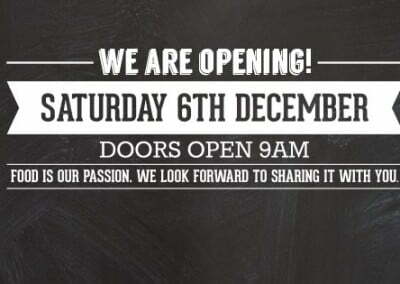 After months of planning and coming up with a new name (in the pub of course) Eggs to Apples was born and we opened our doors on 6th December 2014. 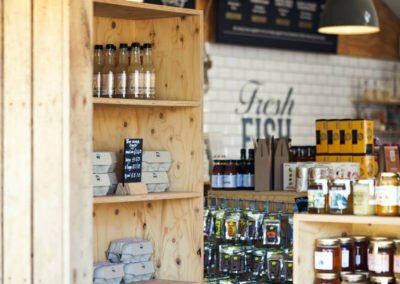 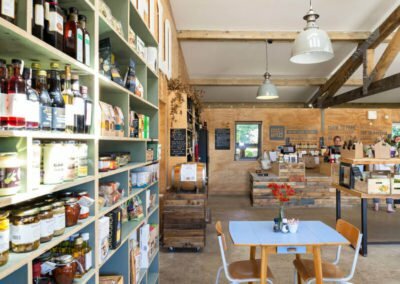 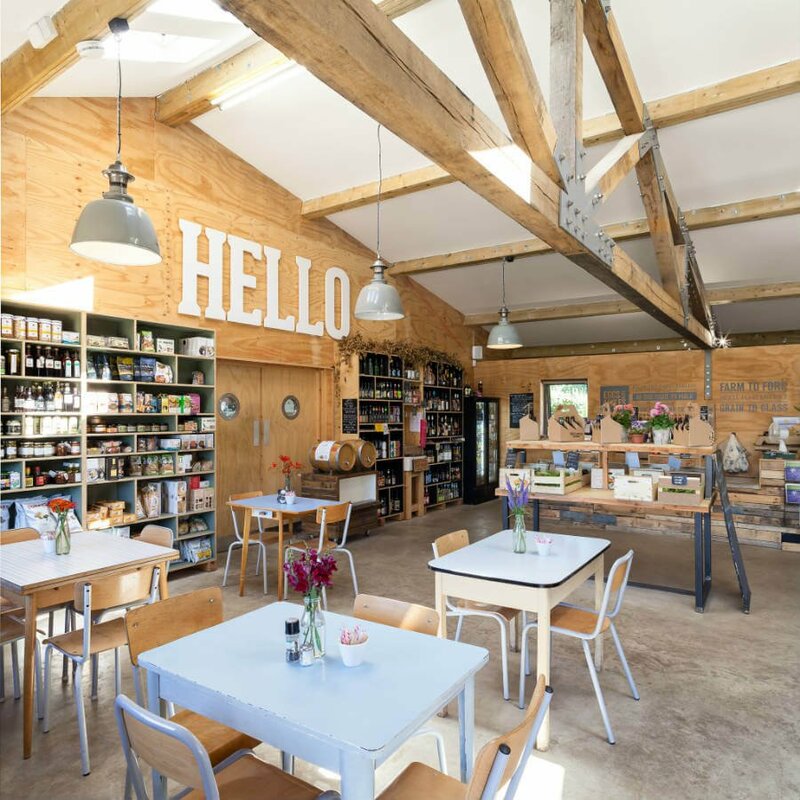 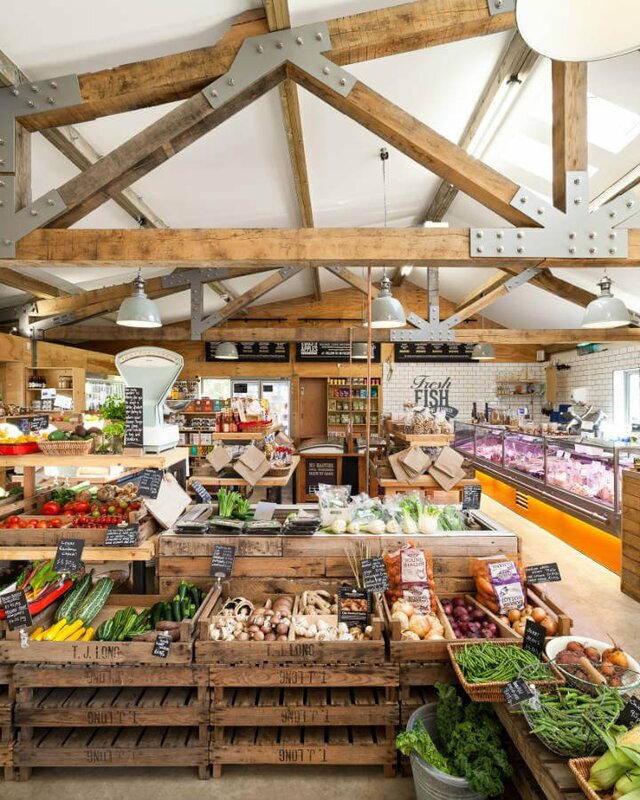 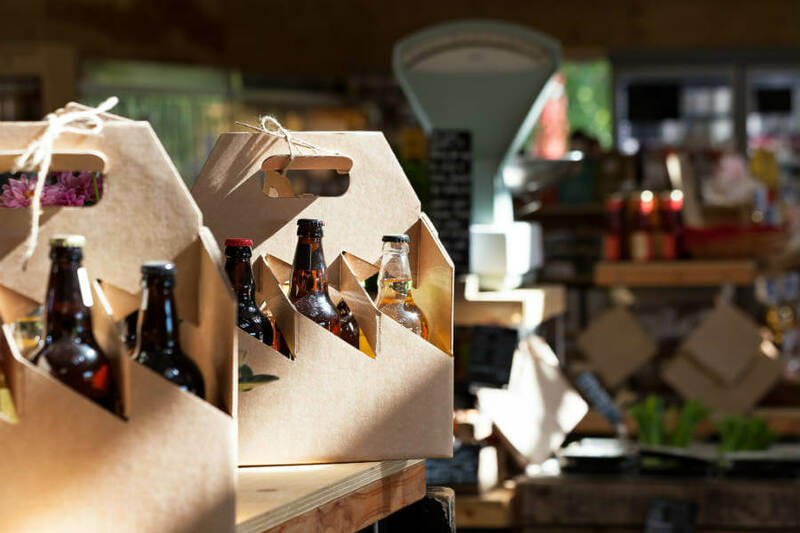 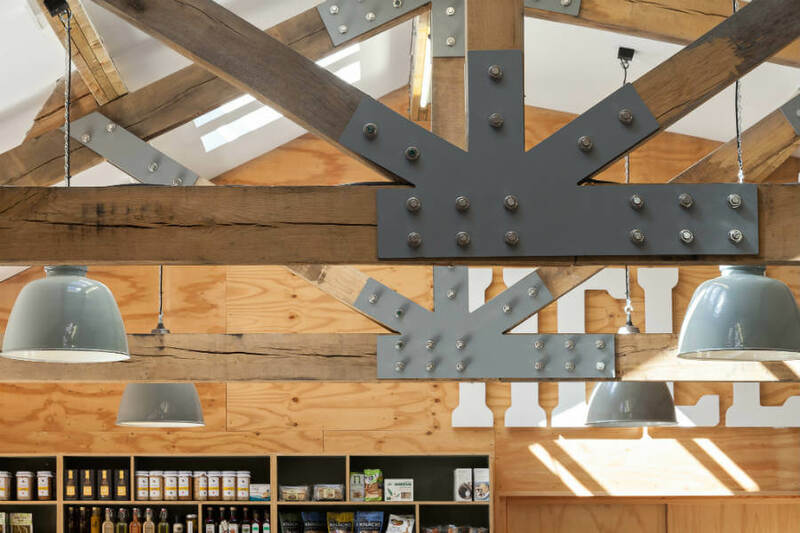 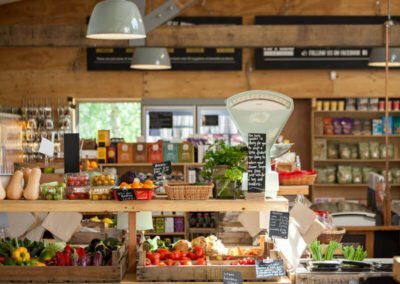 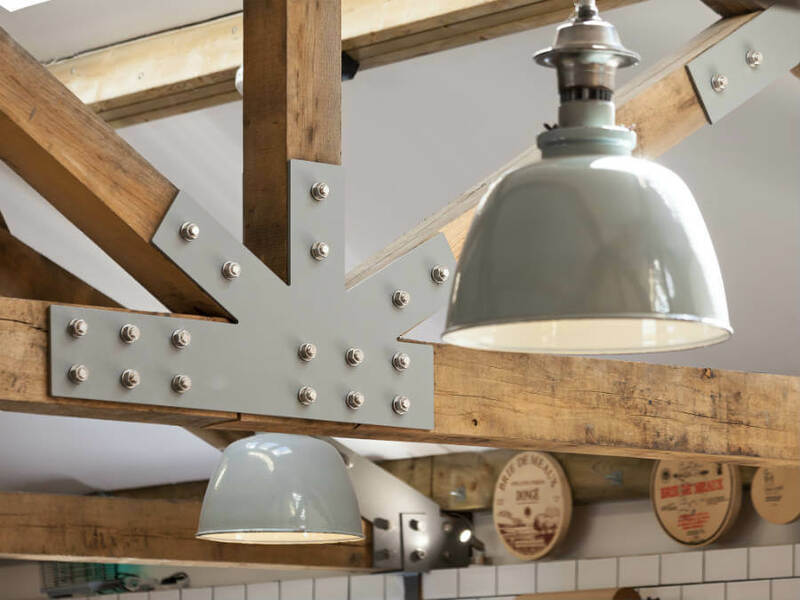 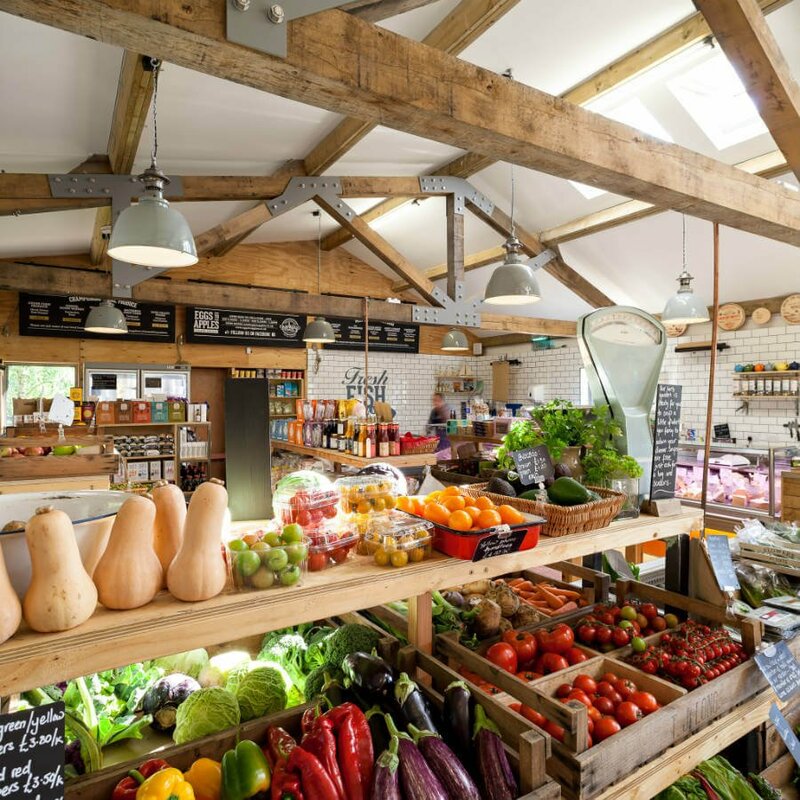 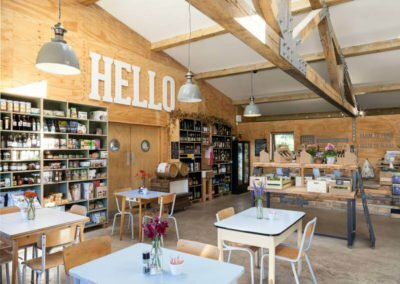 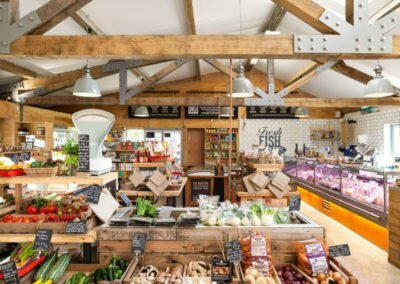 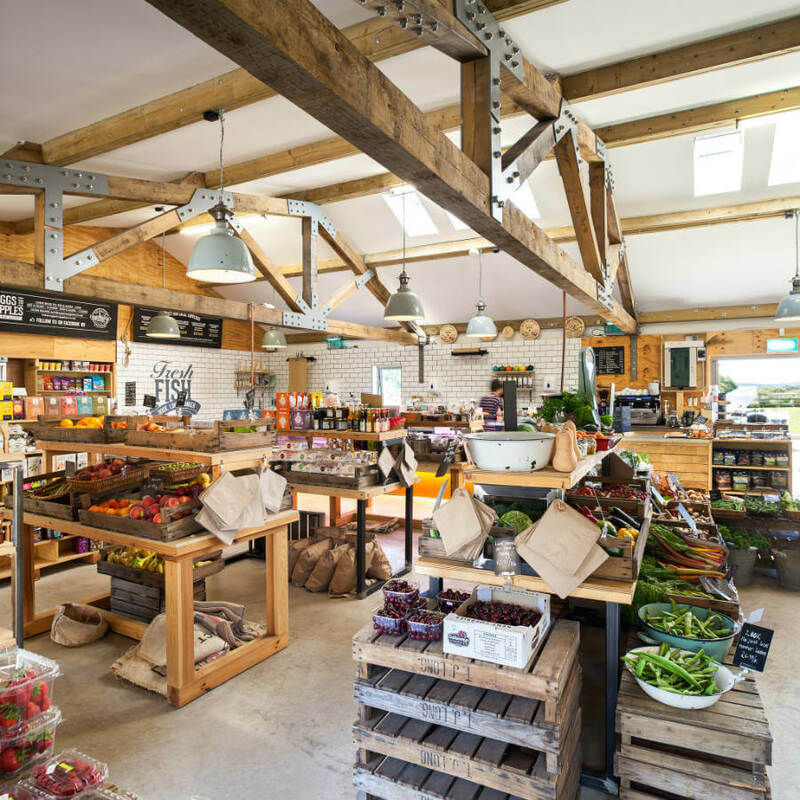 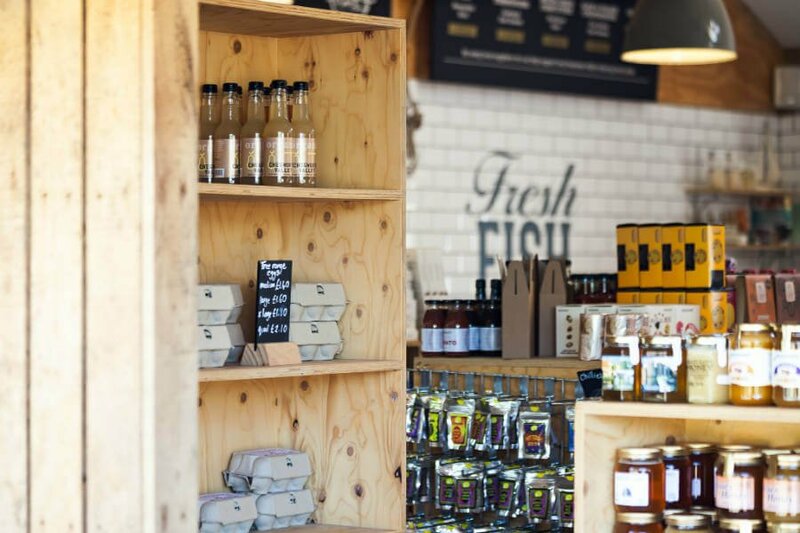 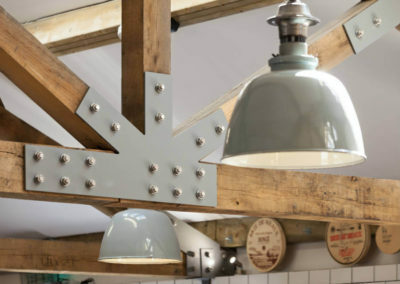 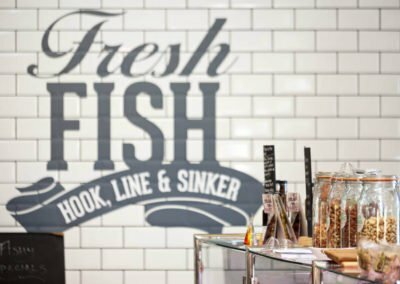 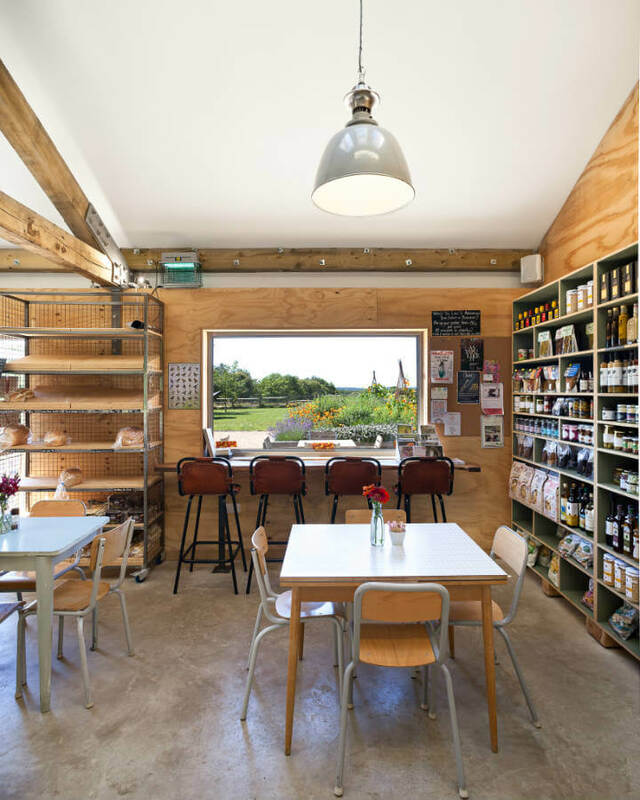 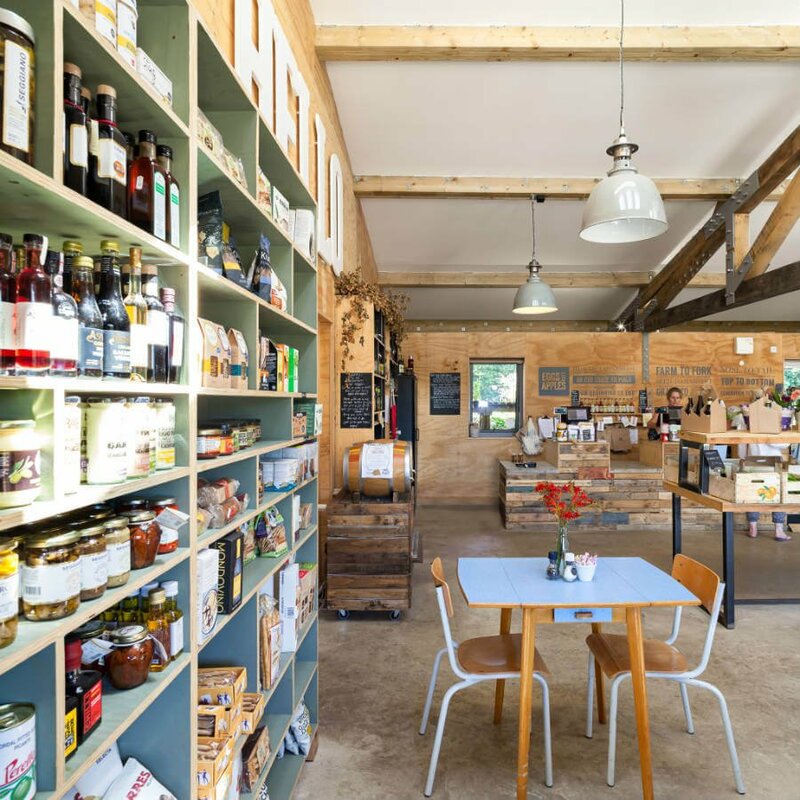 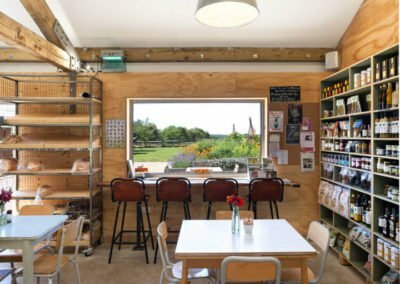 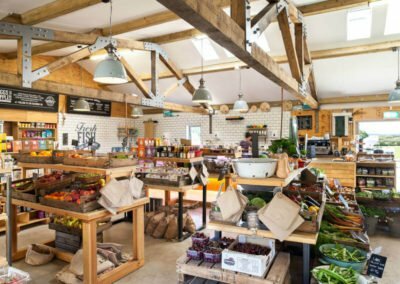 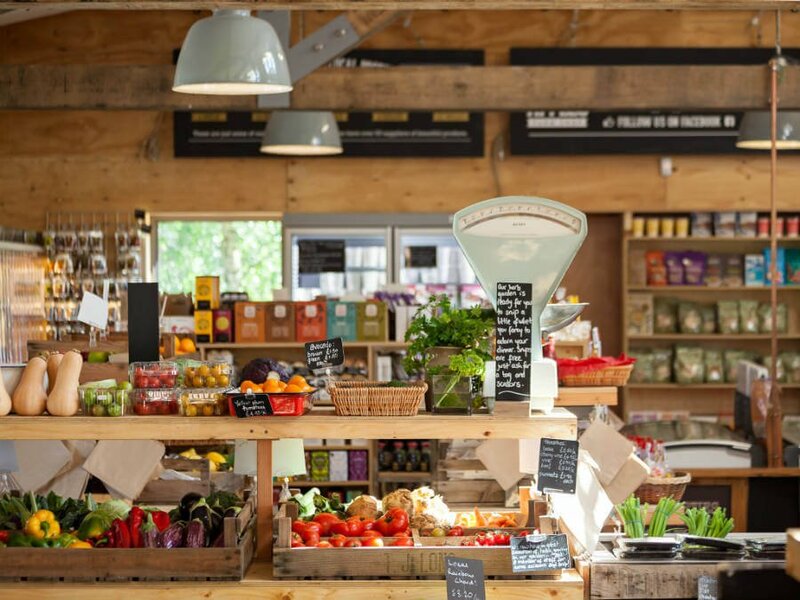 The basic principles of the original shop – fresh, local and seasonal are retained but Susannah and Craig and friends have brought the Farm Shop concept into the 21st century whilst retaining the sense of family business. 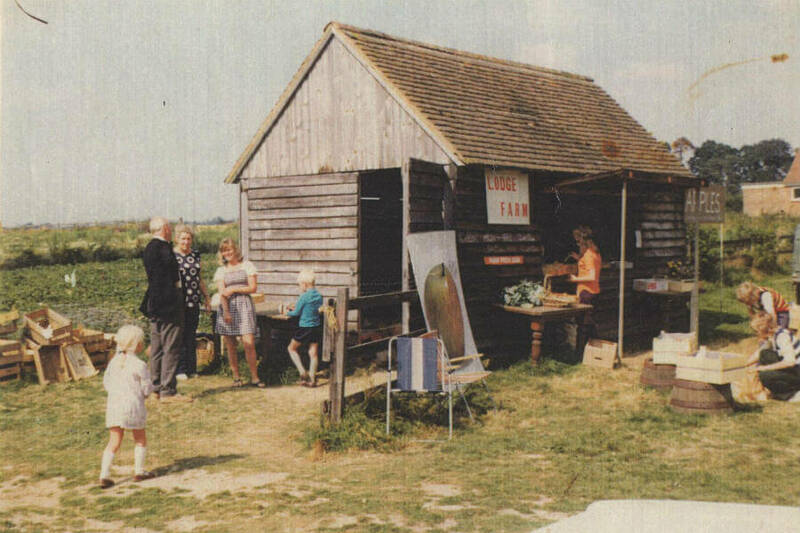 In fact, Richard and Patricia have partially come out of retirement as both mentors and chief pumpkin growers.